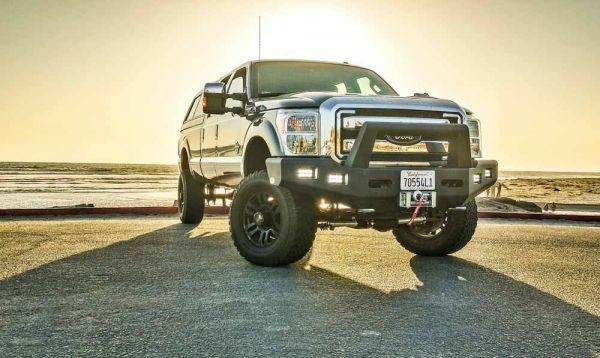 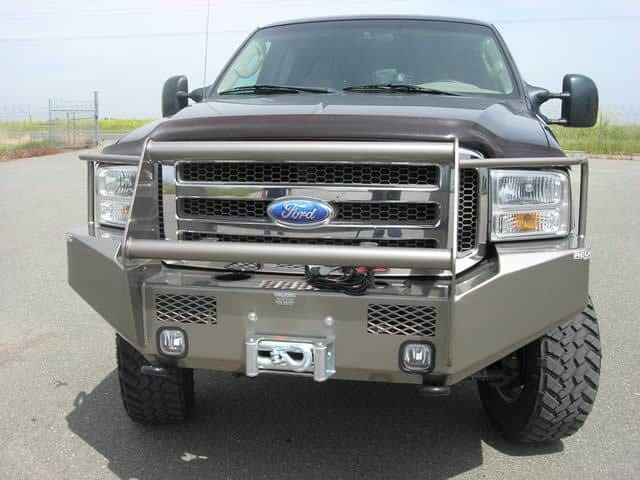 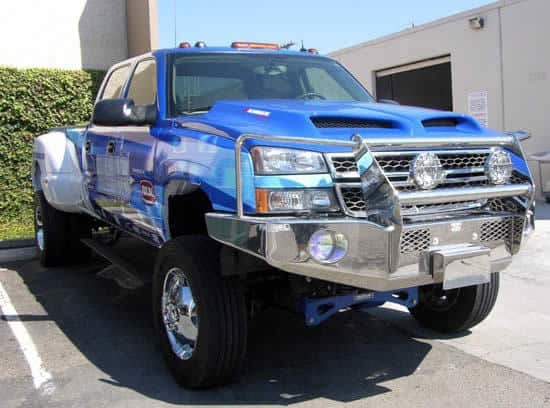 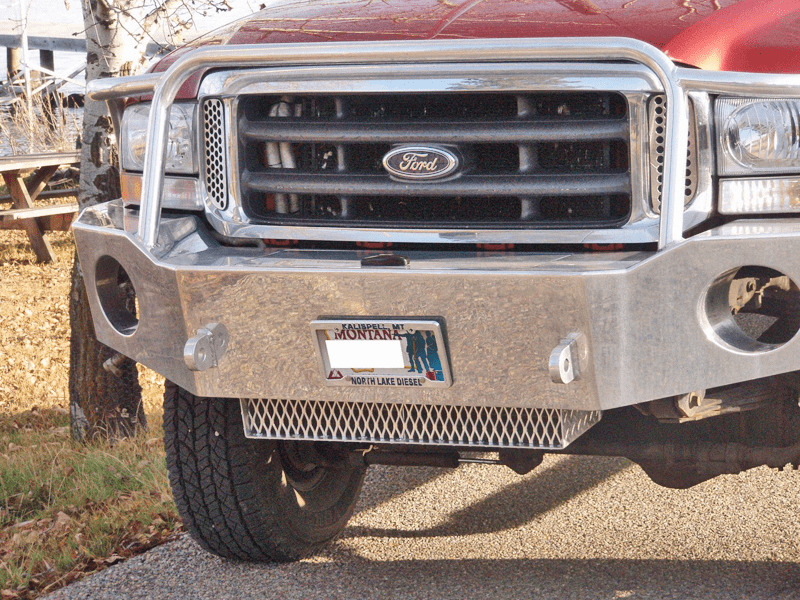 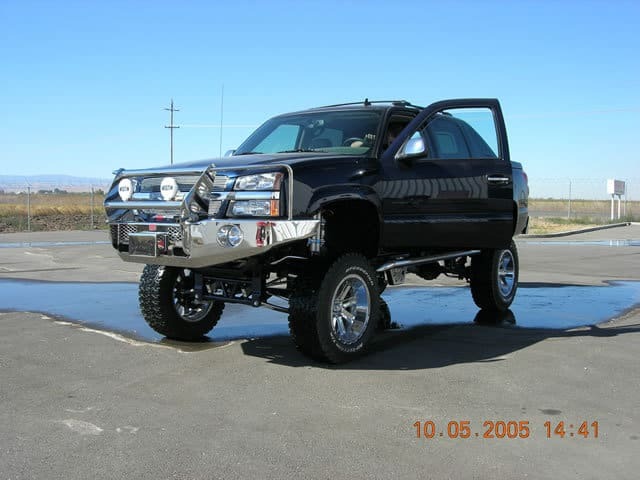 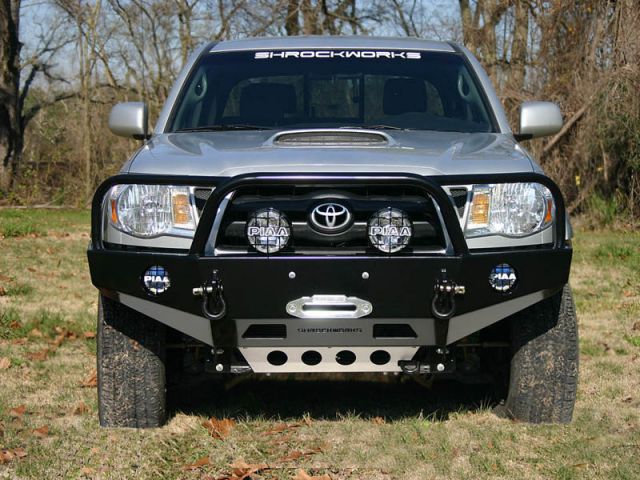 Nothing transforms the appearance of your rig quite like an aftermarket bumper. 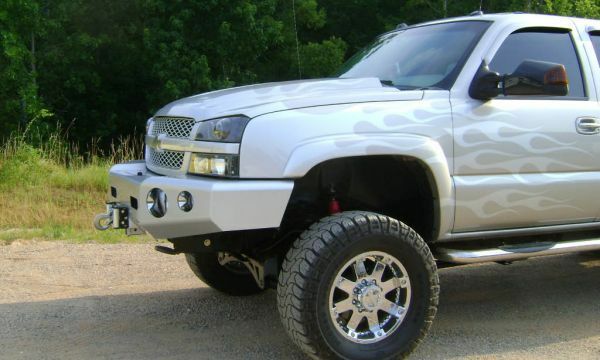 Whether you prefer tube or plate construction (or even a combination of both) the benefits go well beyond aesthetics. 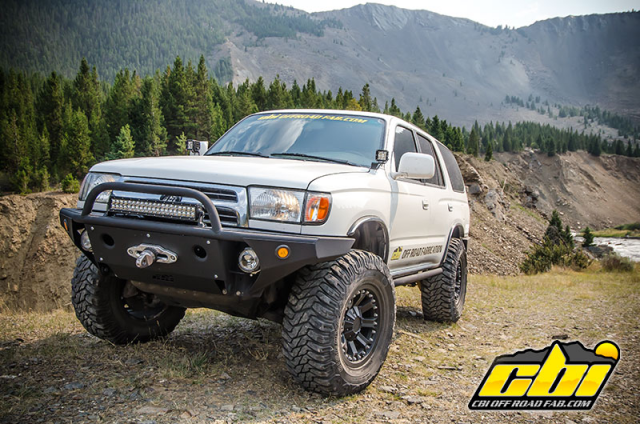 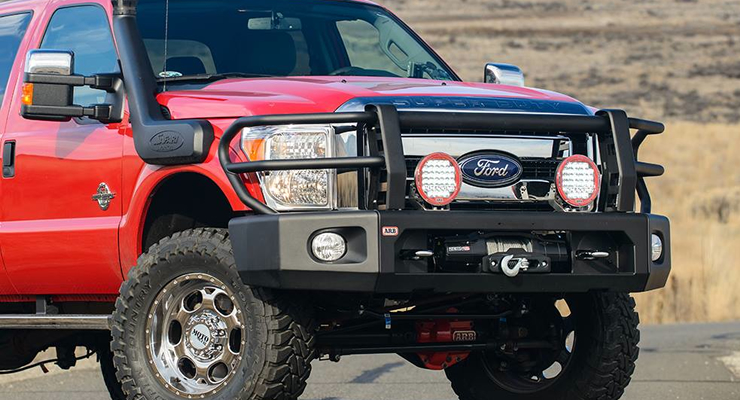 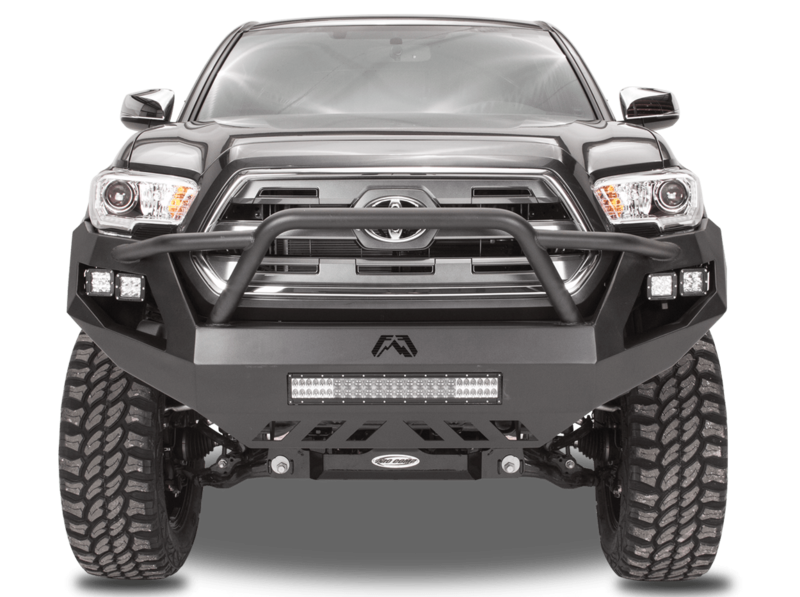 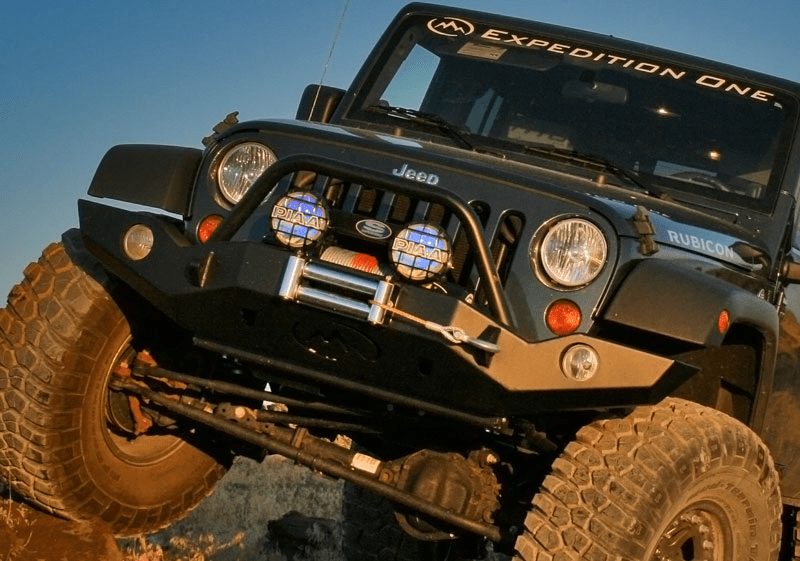 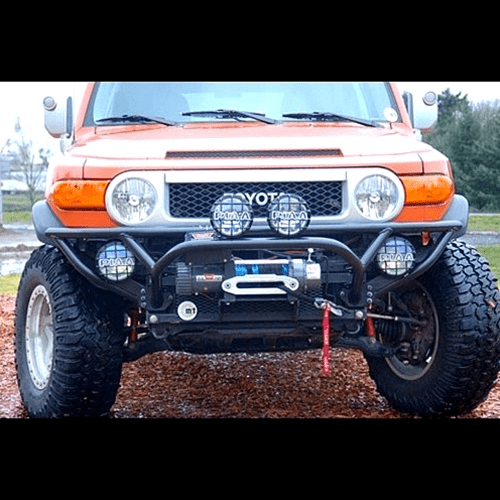 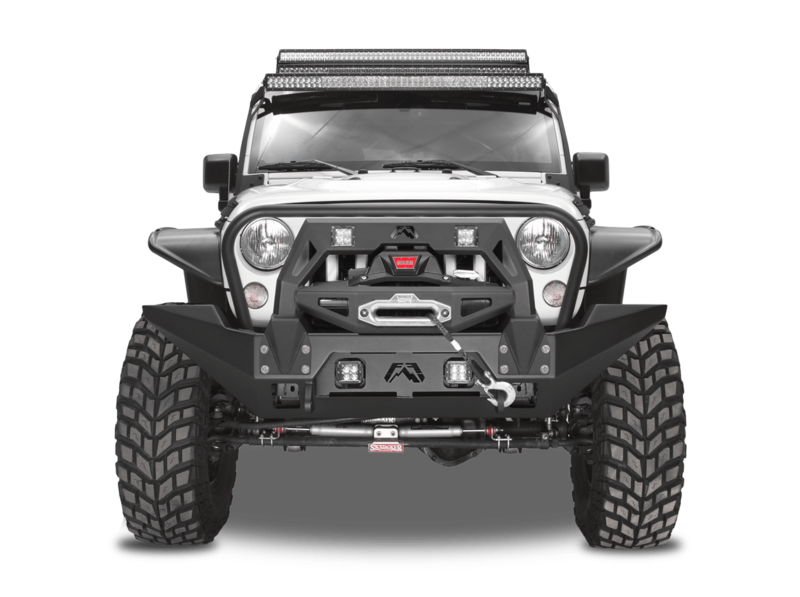 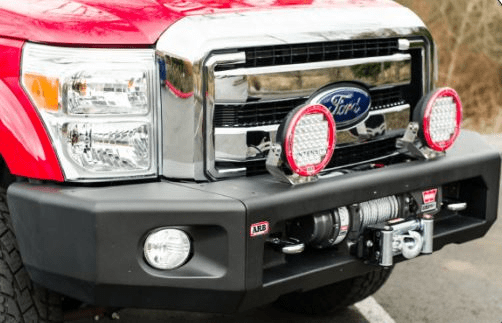 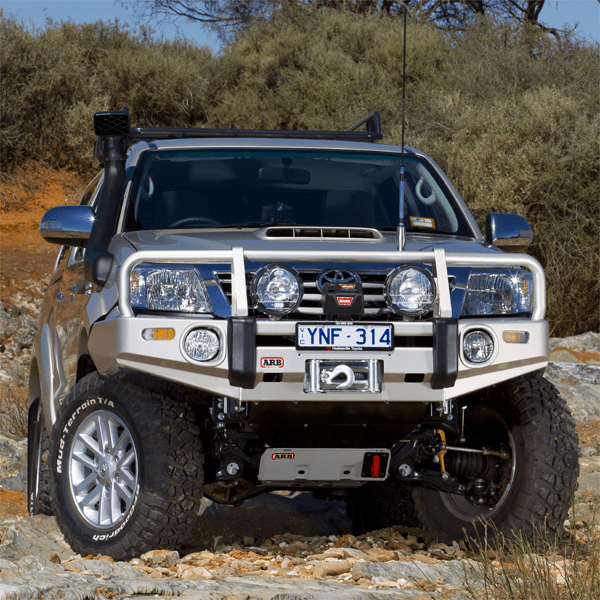 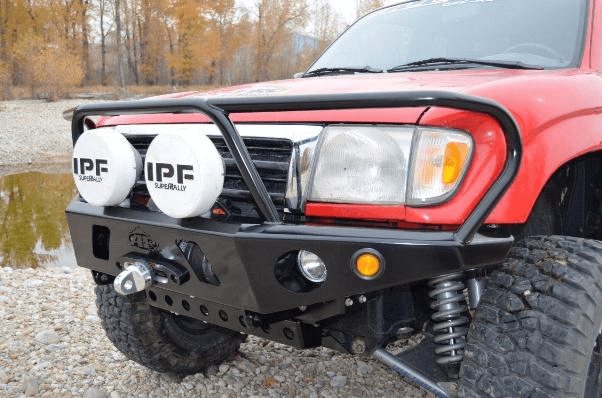 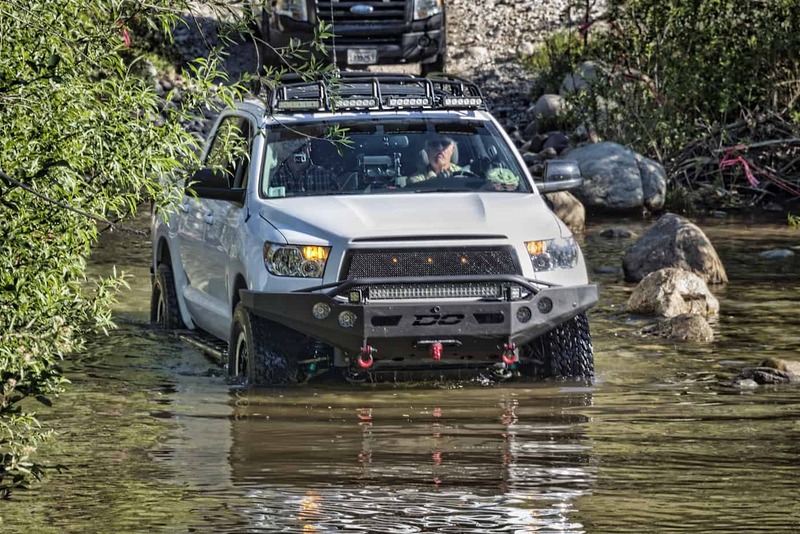 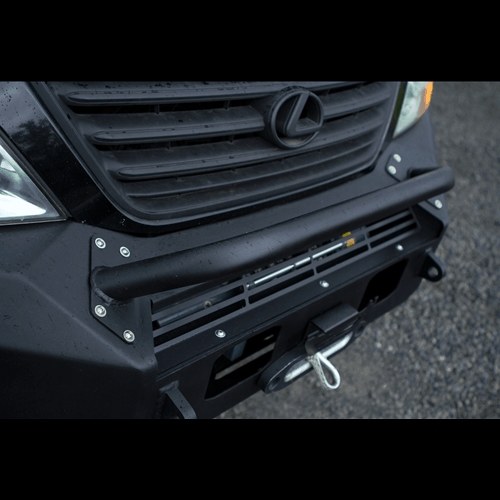 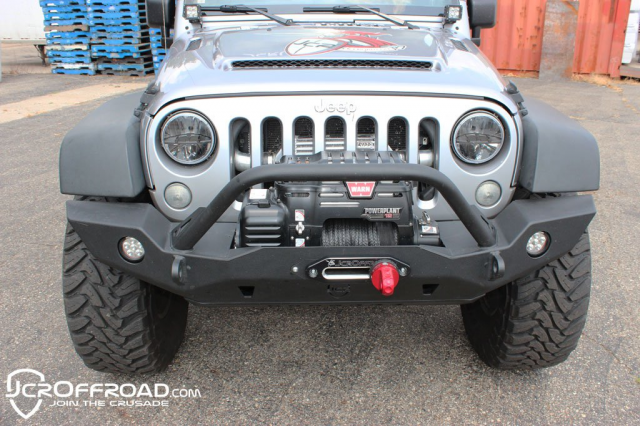 The addition of a well engineered front bumper not only protects vital components such as radiators and oil coolers in the event of a crash, it can also provide recovery points, winch mounting solutions, and tabs for auxiliary lights and antennas for communication on the trail. 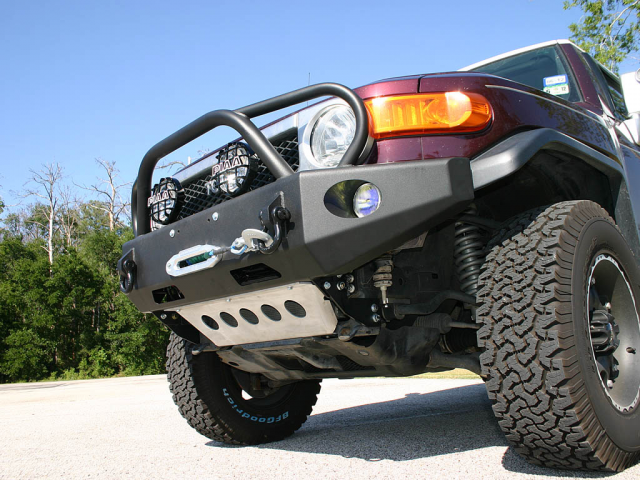 There are at least a squillion companies producing countless front bumpers in the aftermarket. 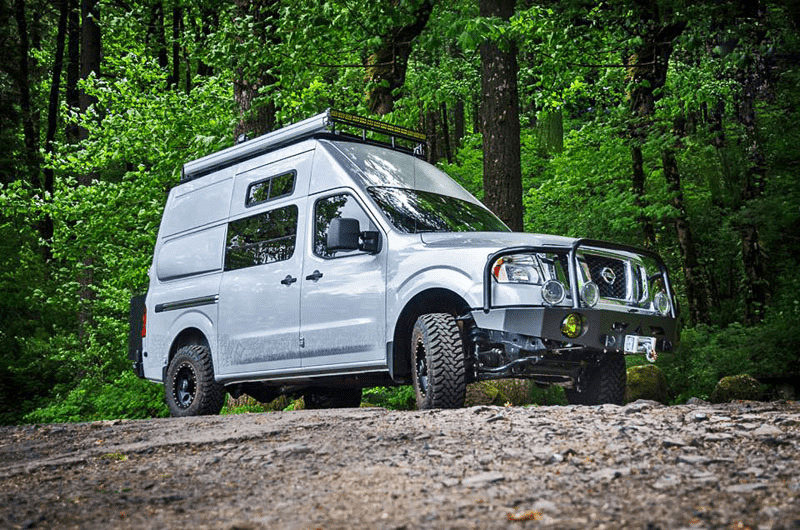 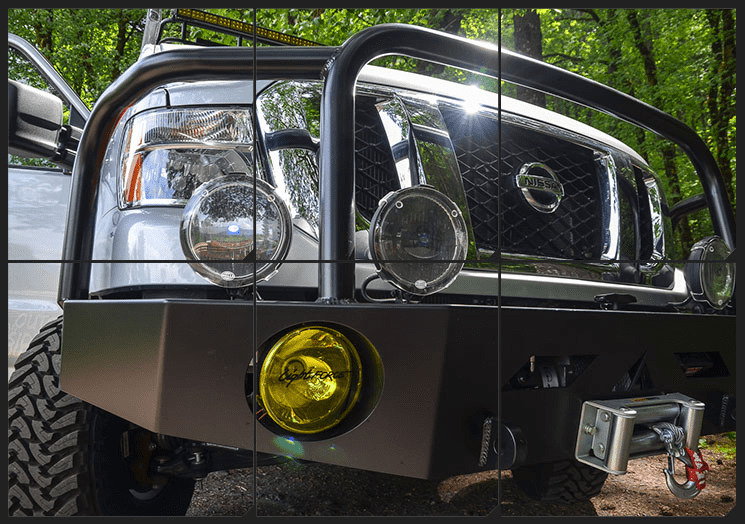 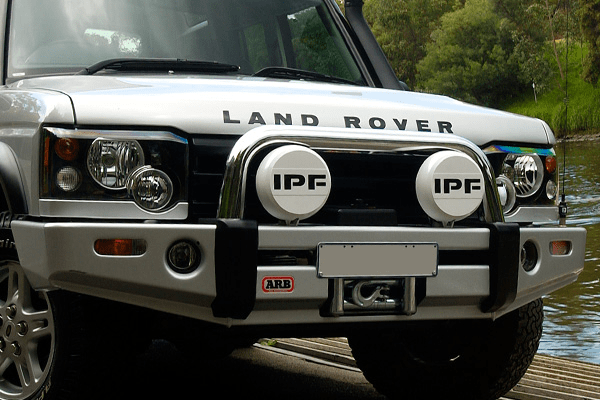 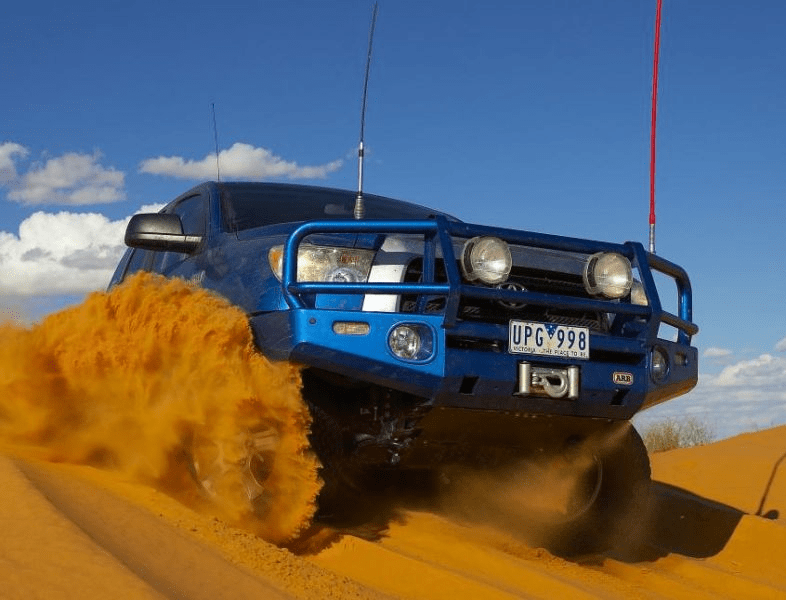 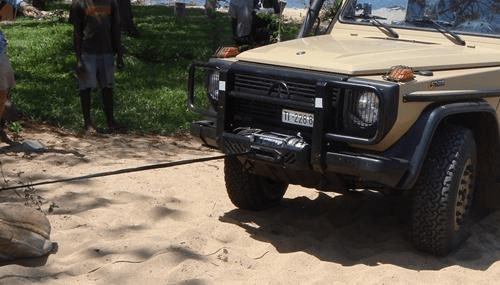 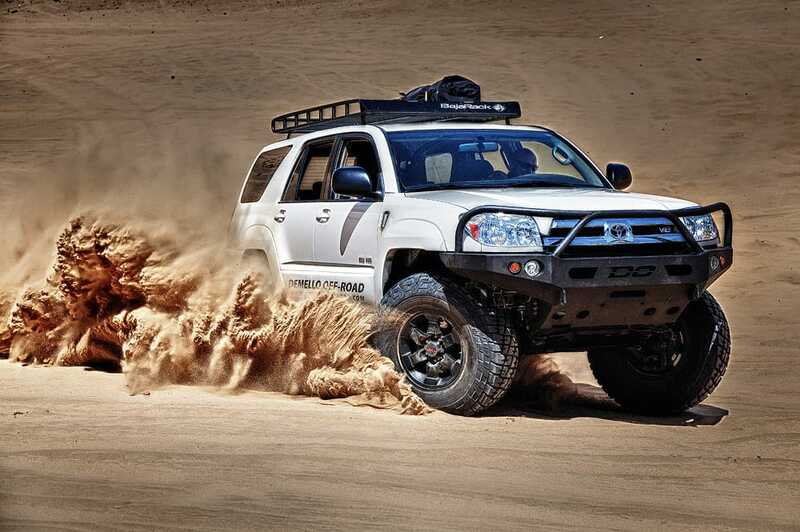 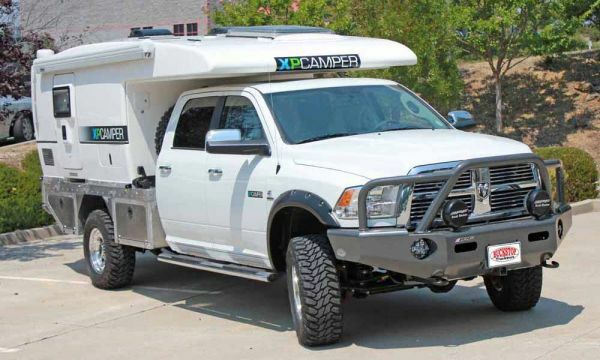 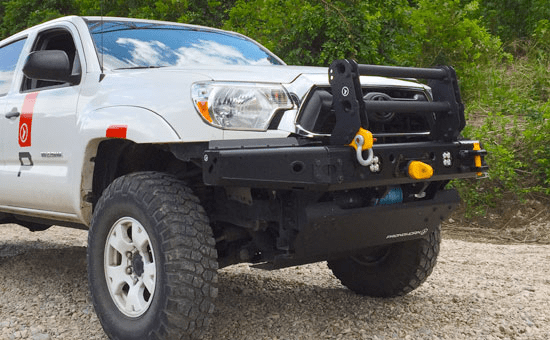 We have gathered together several popular brands here that produce bumpers for a multitude of your favorite overlanding platforms. 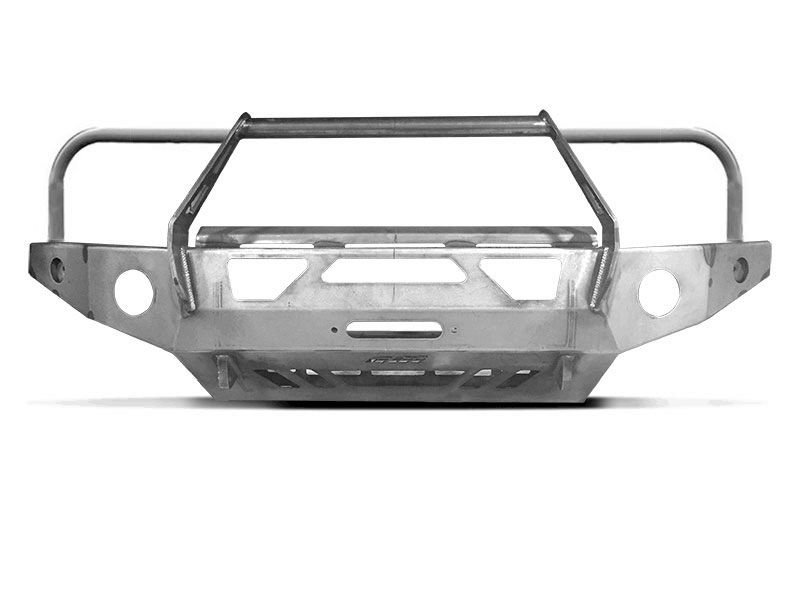 We outlined these bumpers in alphabetical order below. 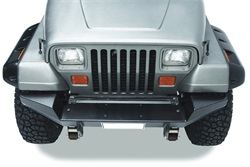 It should be noted that due to space limitations, not all bumpers from every manufacturer could be listed; in other words, this is an extensive list, but is by no means all inclusive. 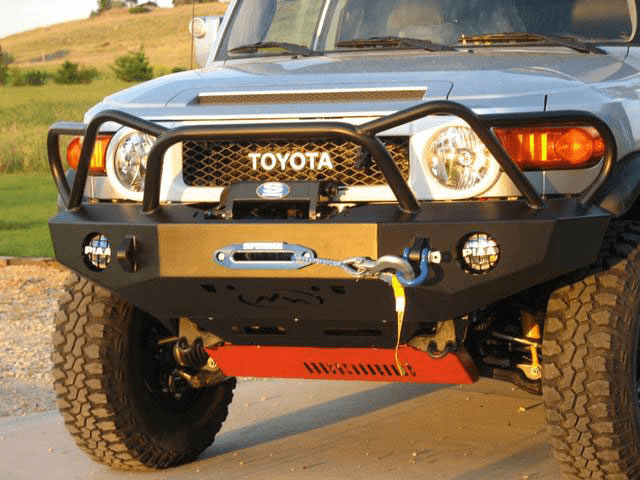 A proper front bumper helps protect your vehicle in the event of an animal strike and can minimize damage in such an event -in many cases, you can drive away from what may have been a total loss. 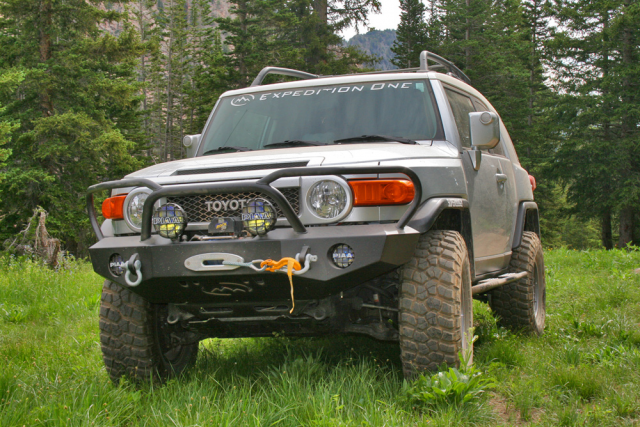 Wild animals such as deer, goats, bighorn sheep and (unfortunately) dogs may dart into your path with little or no warning. 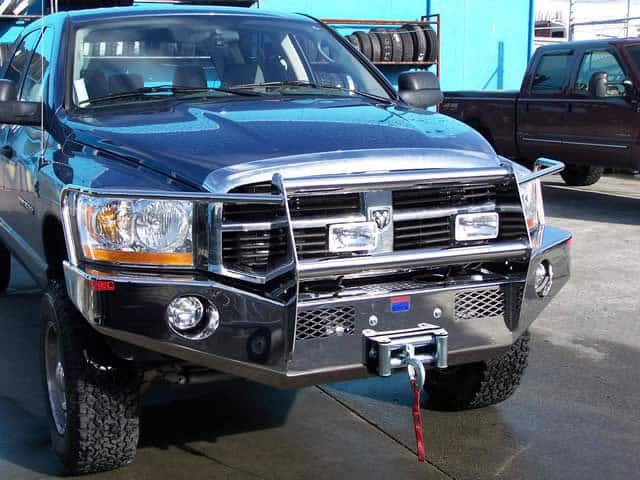 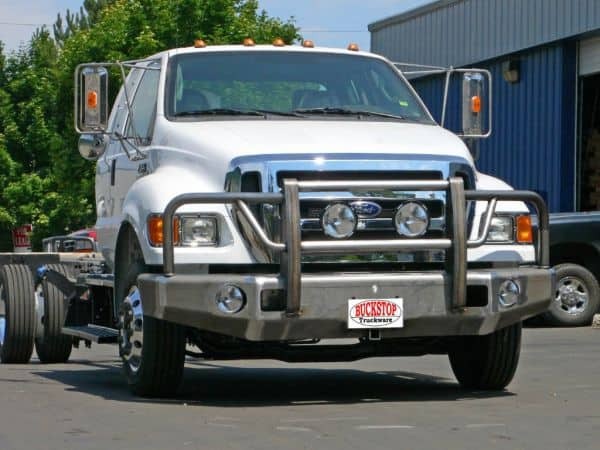 Accidents happen, with a bull bar, the damage received during an on road automobile accident can be greatly reduced -reducing the cost of repair and downtime from your adventure. 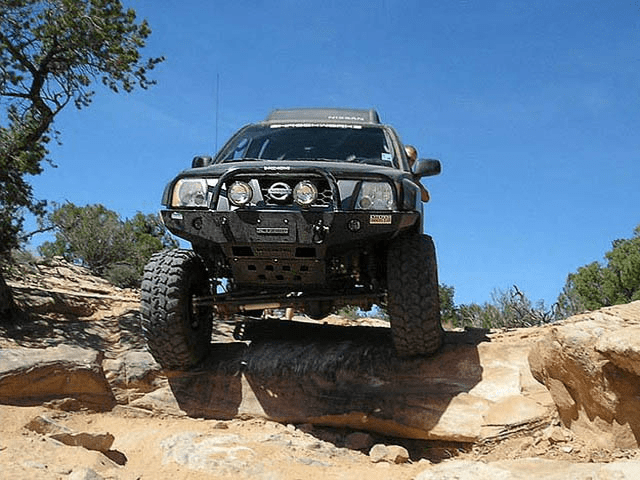 Accidents off road are more likely, wet conditions and off camber trails can cause vehicles to slide into trees and rocks causing broken lights, punctured heat exchangers, and body damage. 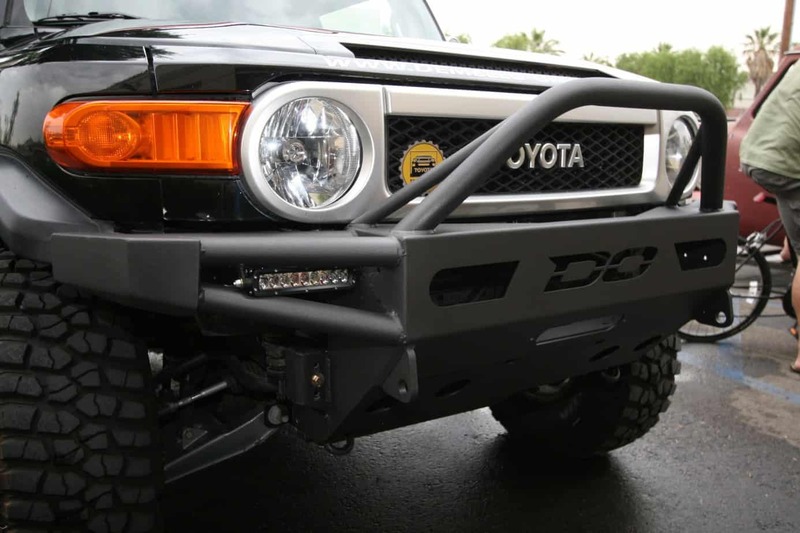 A strong steel or aluminum bumper can lessen or eliminate damage altogether. 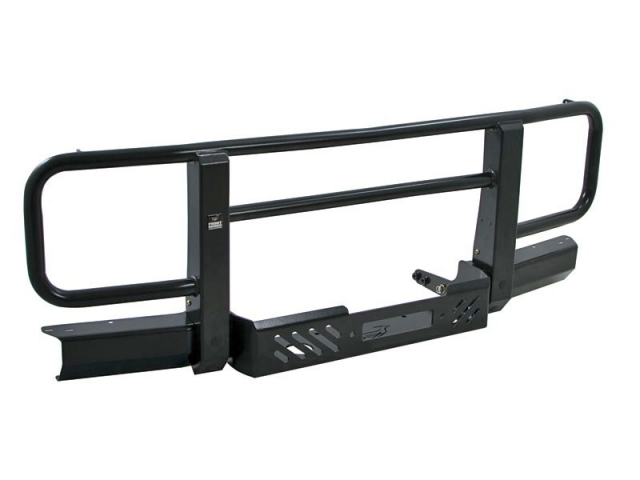 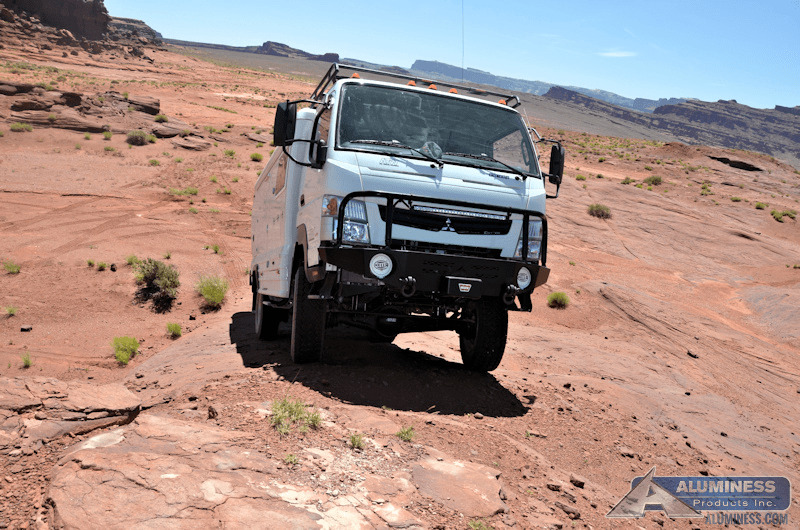 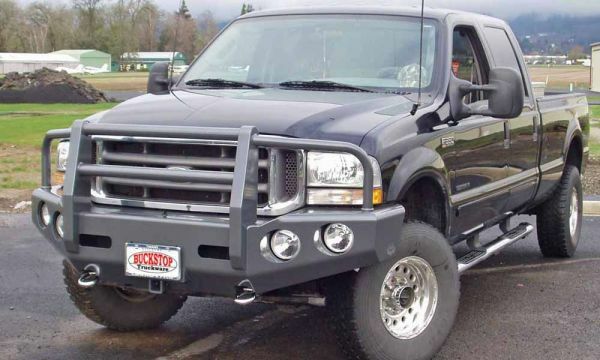 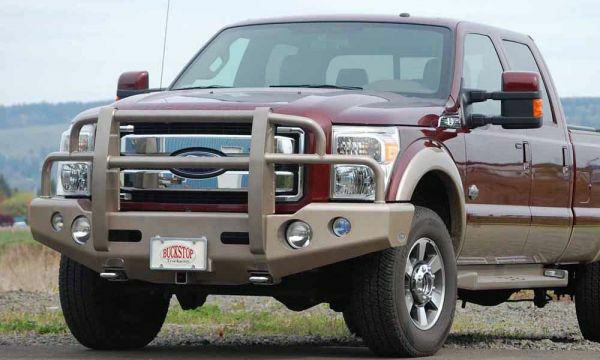 Recovery is greatly improved with the use of a well equipped bull bar. 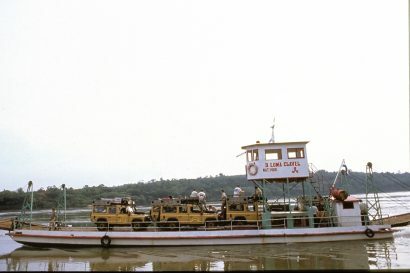 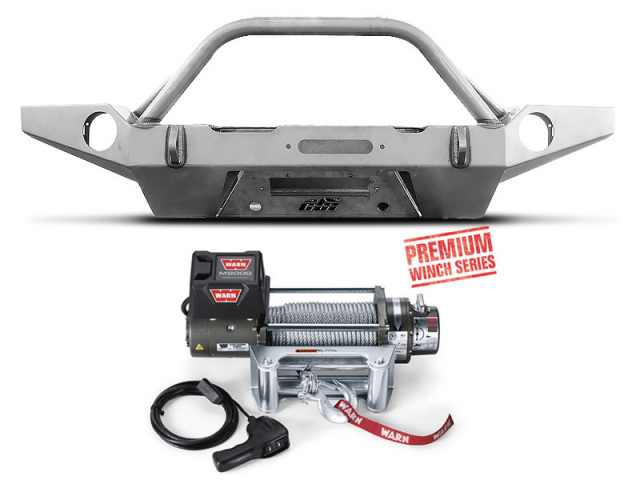 Not only do they provide recovery points, many come with provisions for electric winches. Winches can be used to clear roads, right a tipped vehicle or recover a stuck vehicle. 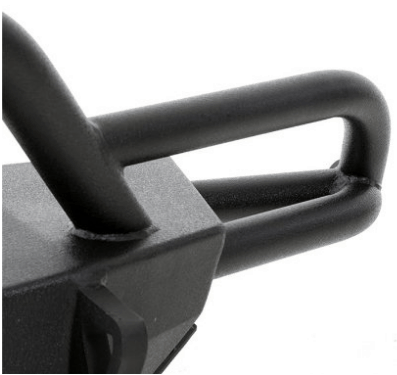 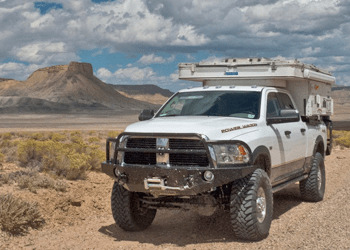 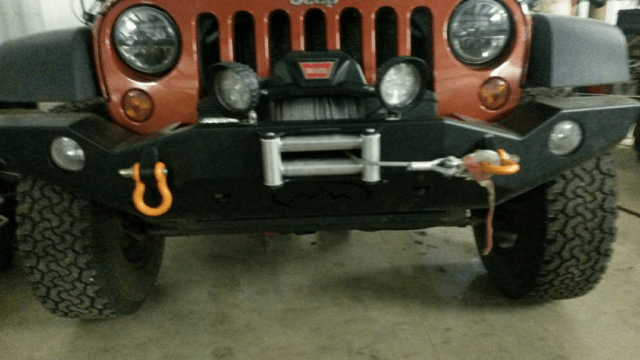 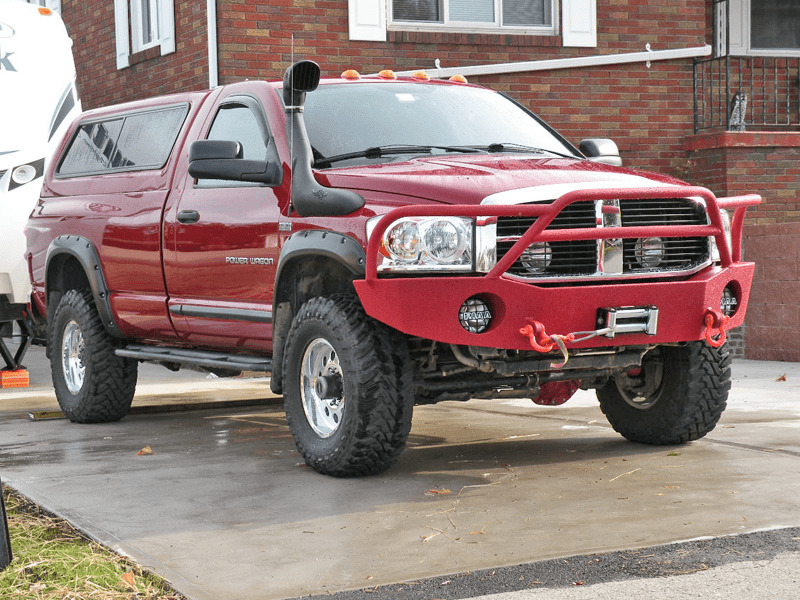 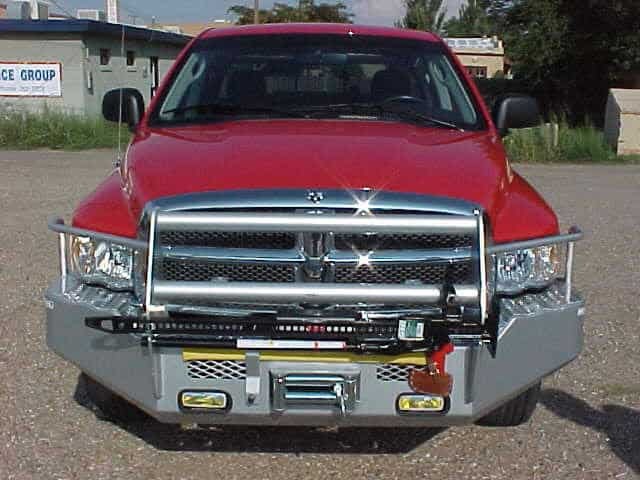 Mounting of peripheral devices such as light tabs, antennas, and in some cases, Hi-lift jack lift points are also advantages of having a bull bar. 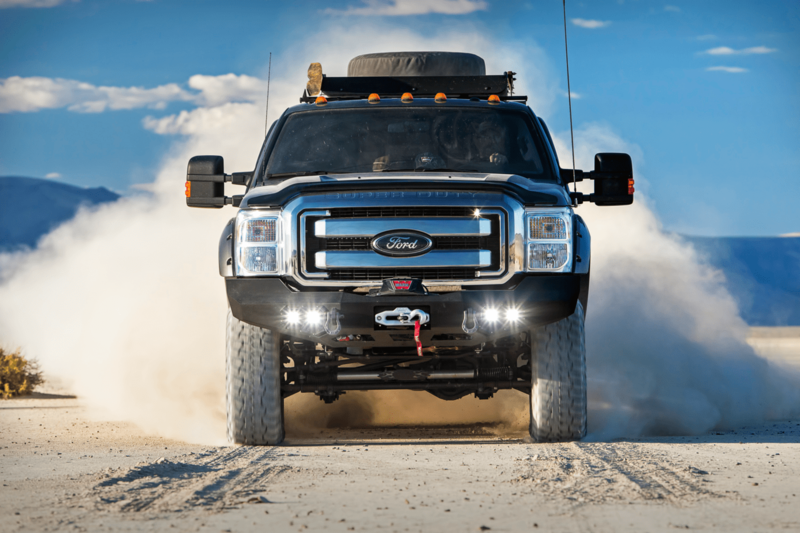 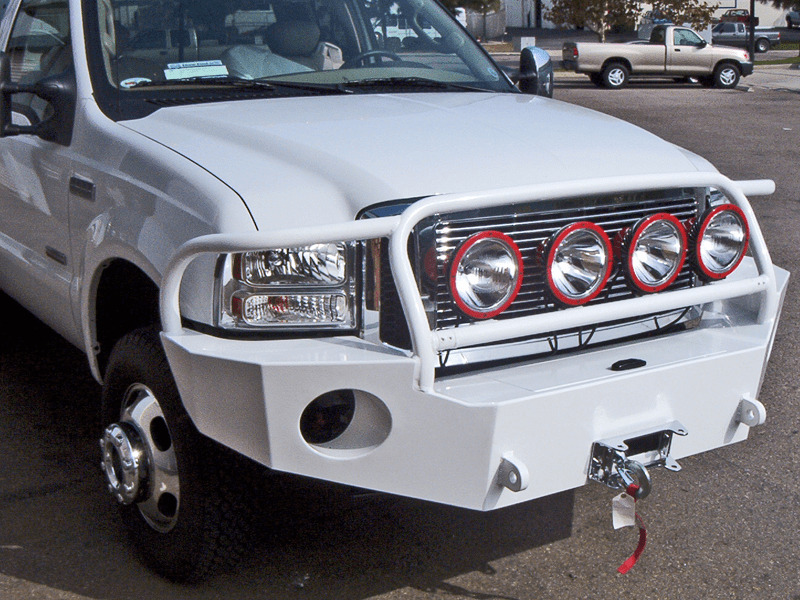 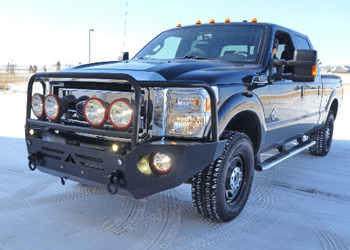 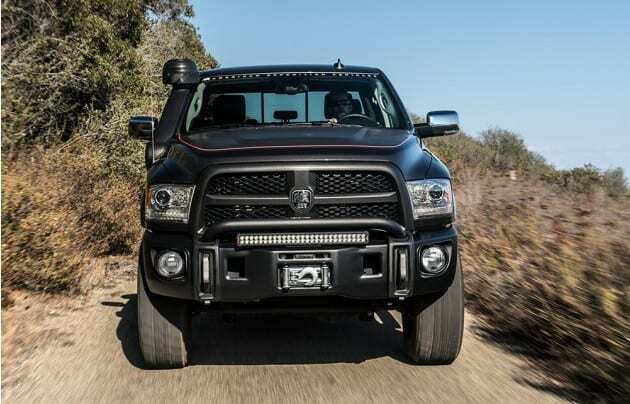 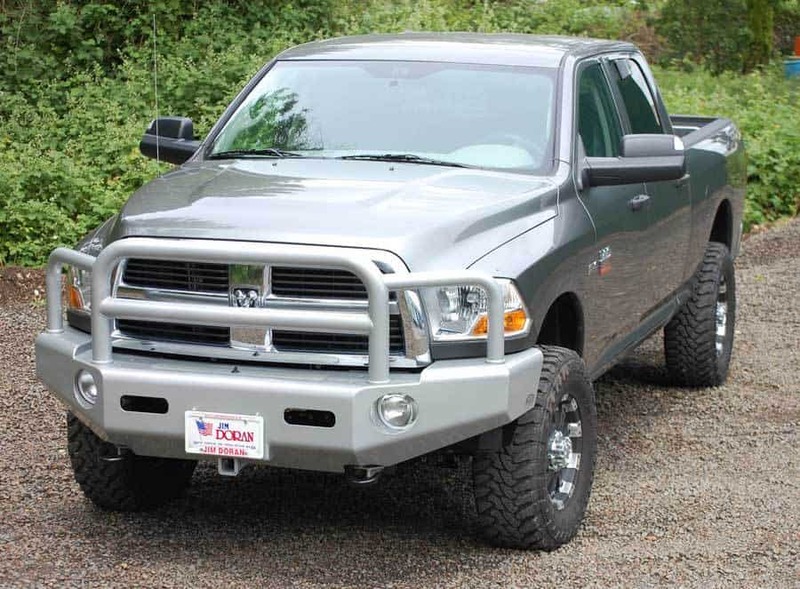 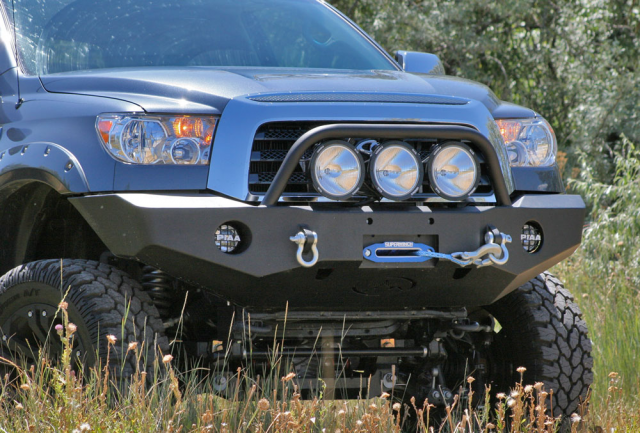 Fitting your bull bar with aftermarket lights adds a margin of safety during night driving. 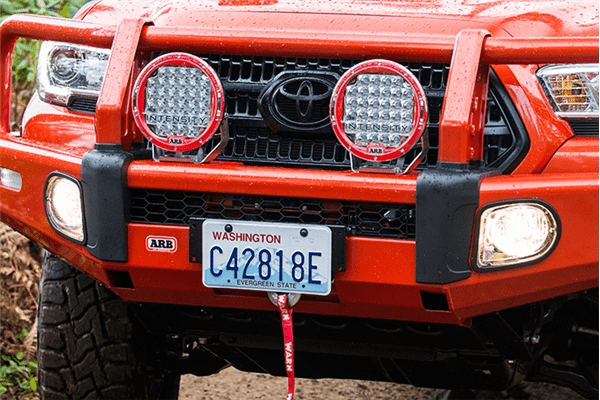 Although not street legal, this lighting can provide visual warning of upcoming ruts or washed out trails. 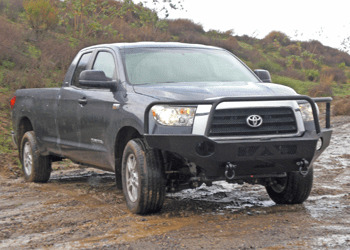 The bumpers listed in this Buyer’s Guide vary in engineering and construction vastly. 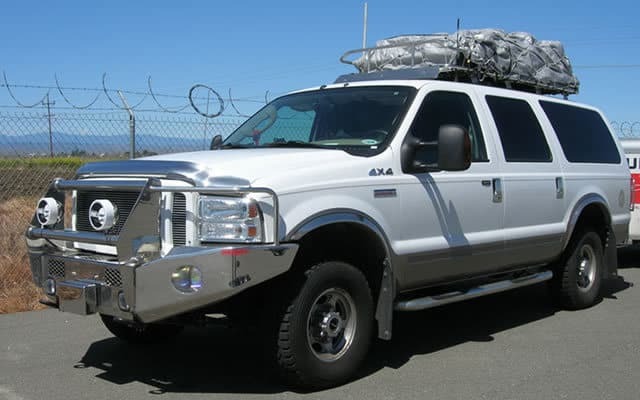 For example, some have been DOT crash tested, but most have not. 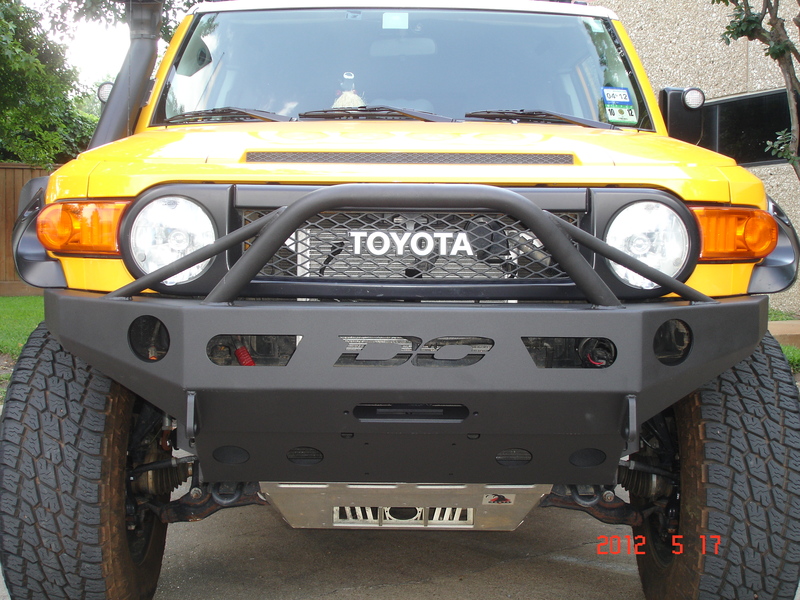 AEV and ARB are the only manufacturers to maintain the manufacturer’s low speed impact SRS system on all their bumpers. 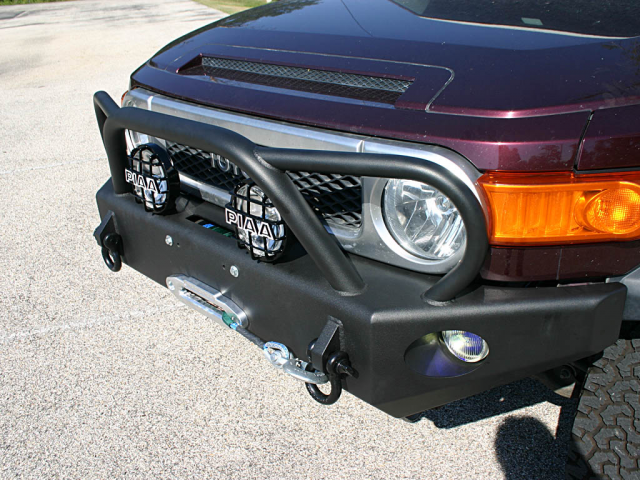 Details such as these are available in further detail from the specific bumper manufacturer. 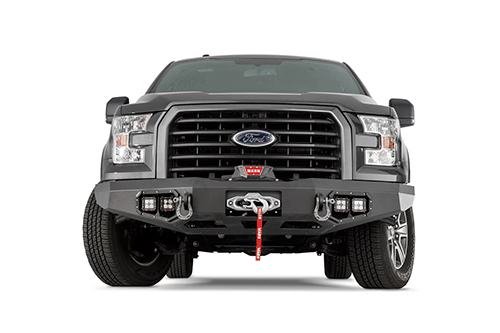 Ultimately, it is up to you to choose which features best fit your needs. 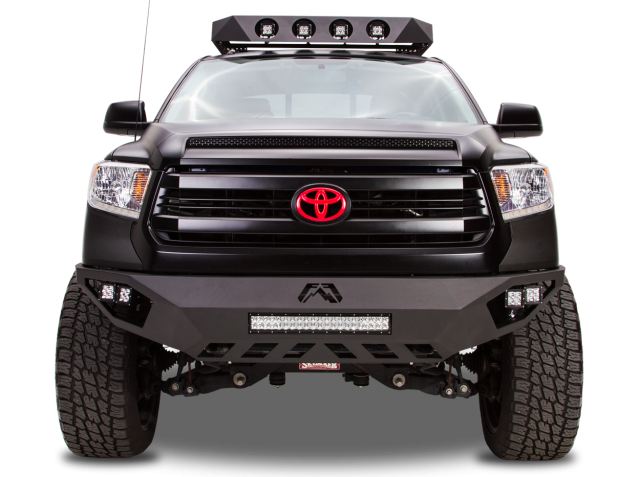 Although, we will try to keep this list up to date, product lines are constantly changing. 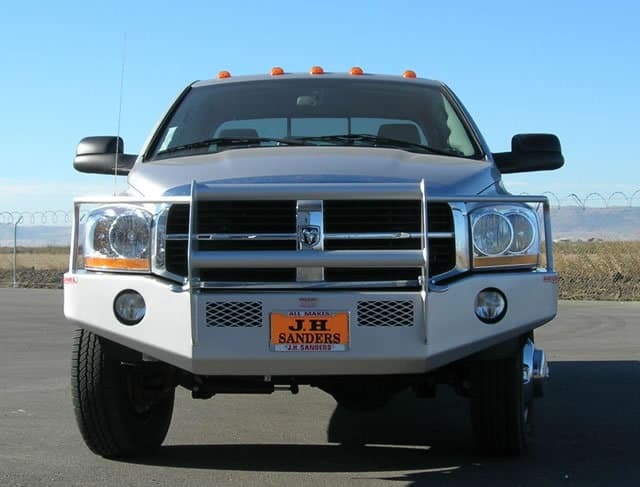 If we get something wrong, let us know and we will be glad to change it. Did we miss a critical bumper? 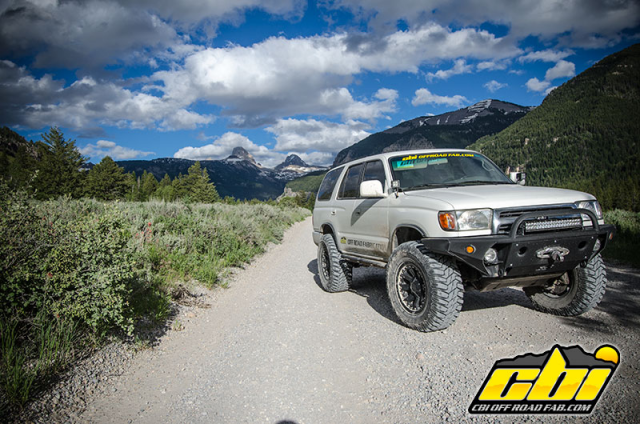 Be sure to let us know and we will add it. 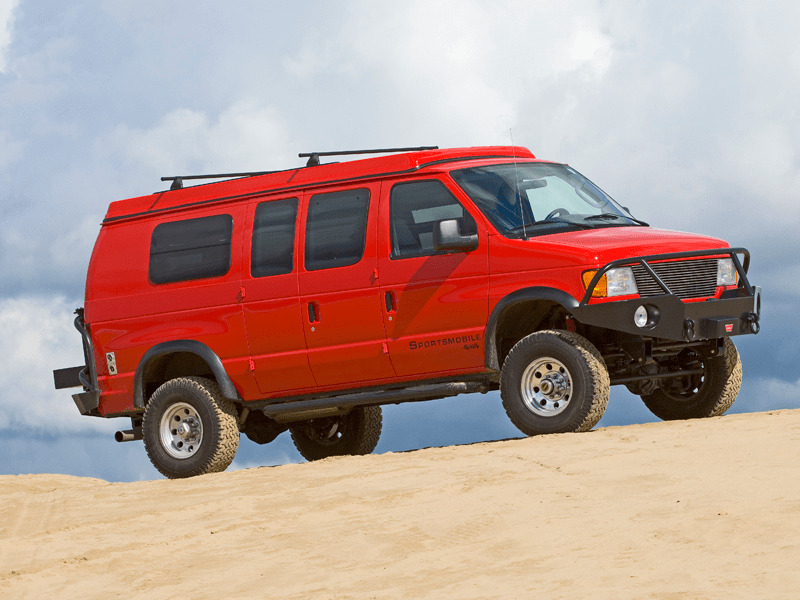 Available for Ford Vans from 1992-Current. *Weight varies by model and model year. 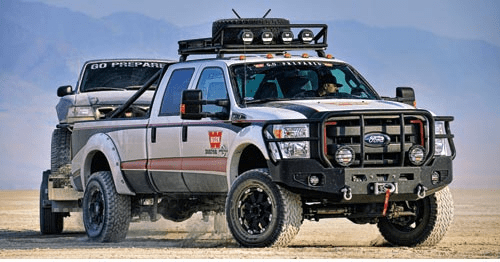 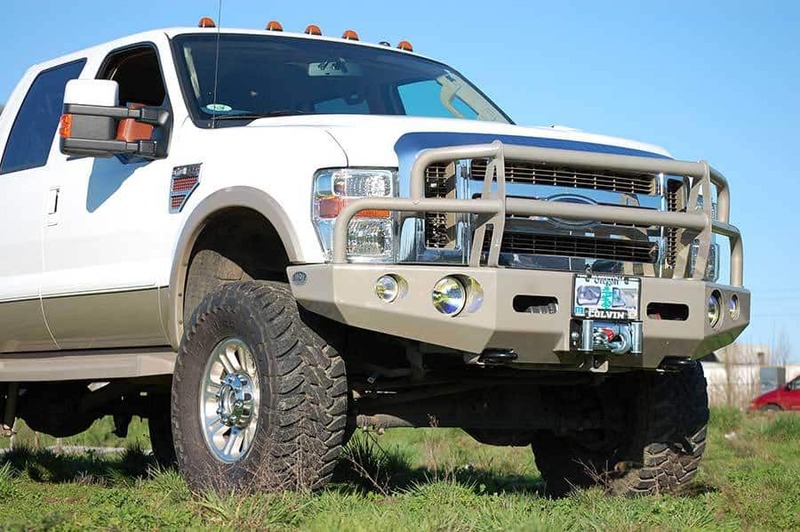 Available for Ford Super Duty 1999-2014, and 1999-2015 Ford Excursion. 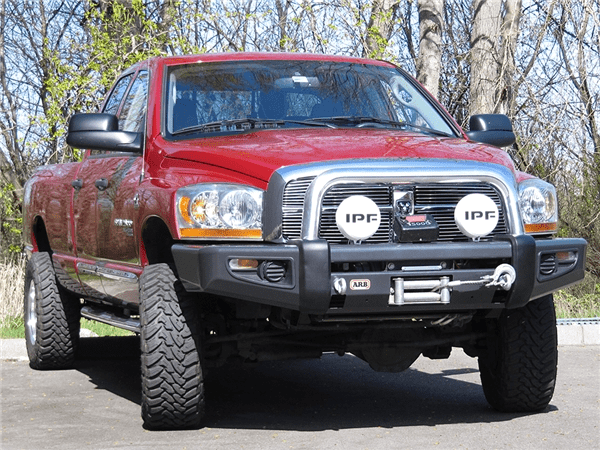 Available for 2003-2014 Dodge Ram and 2006-2014 Dodge Powerwagon. 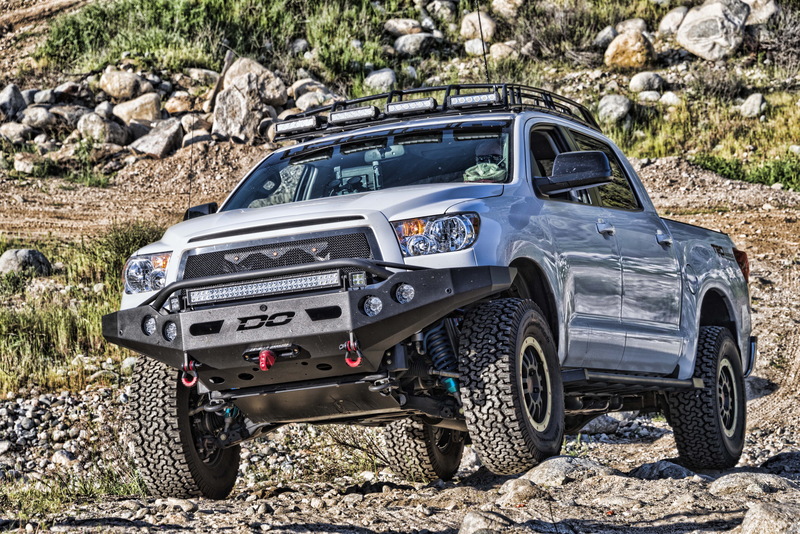 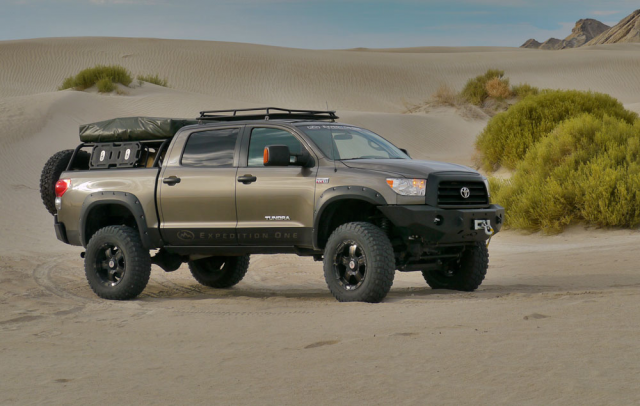 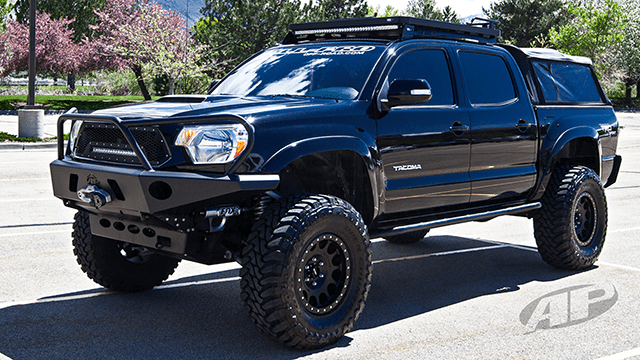 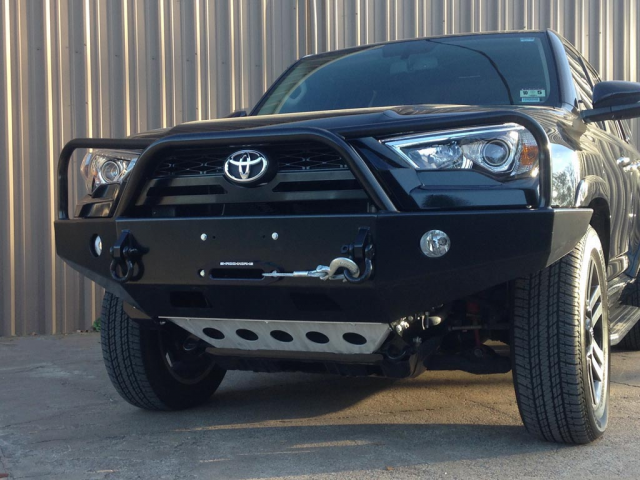 Available for 2001-2015 Toyota Tacoma; 2007-2013 Toyota Tundra; 2007-2014 Toyota FJ Cruiser. 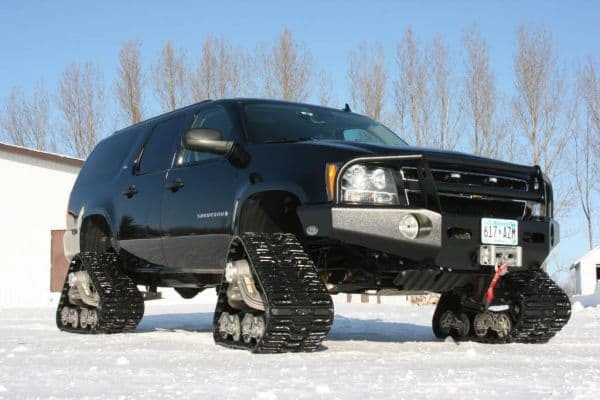 Available for 2003-2015 Chevrolet Vans. 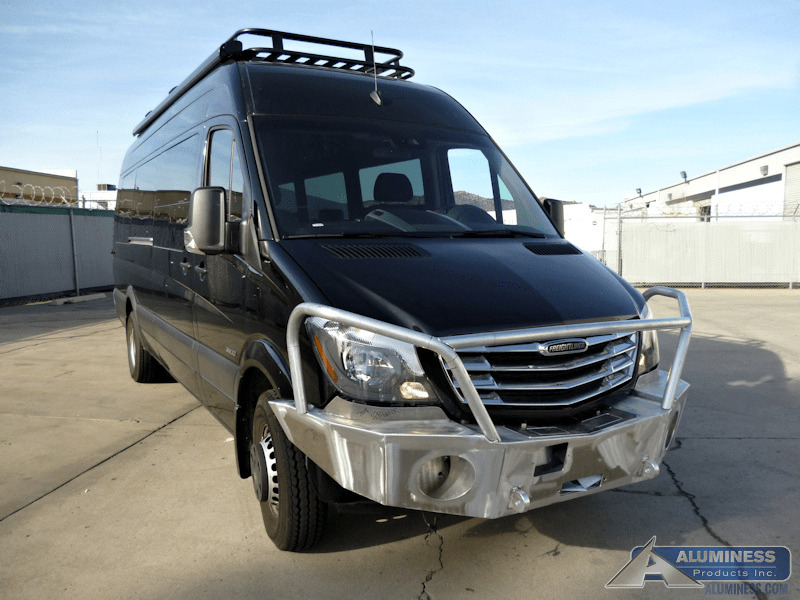 Available for 2003-Current Mercedes Sprinter Vans. 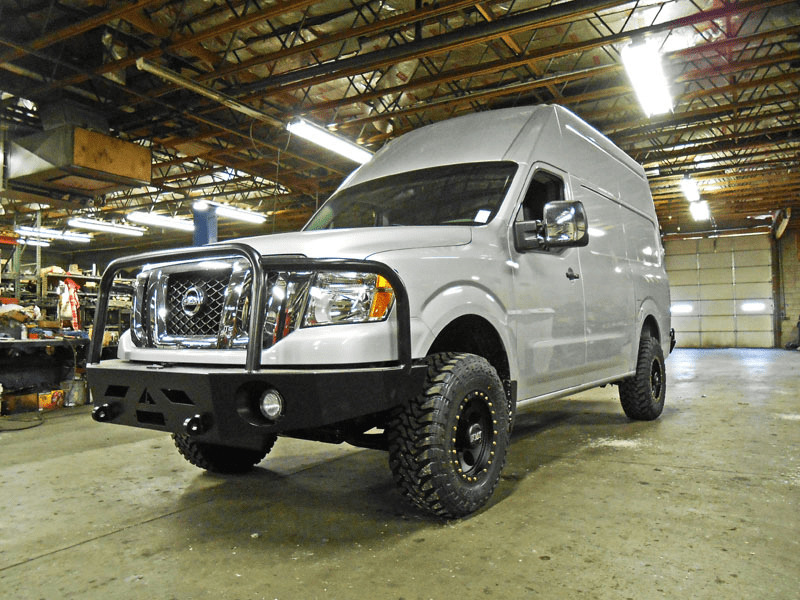 Available for 2011-2015 Nissan NV 2500/3500. 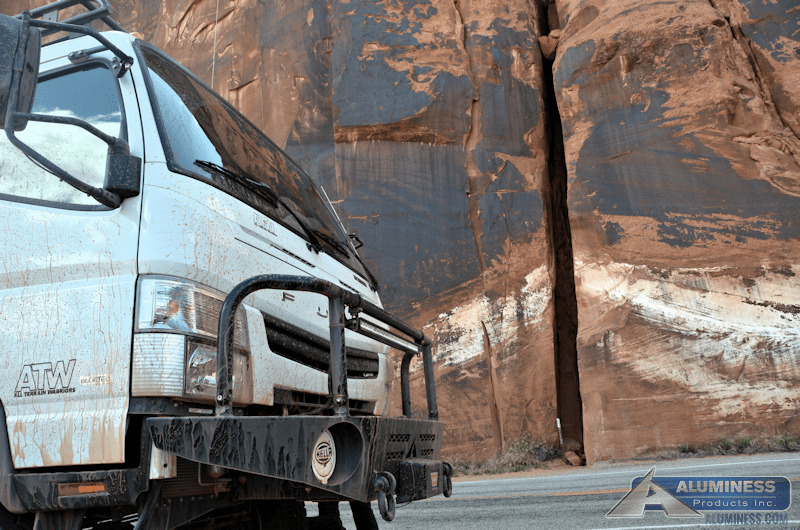 Available for 2012-Current Mitsubishi Fuso. 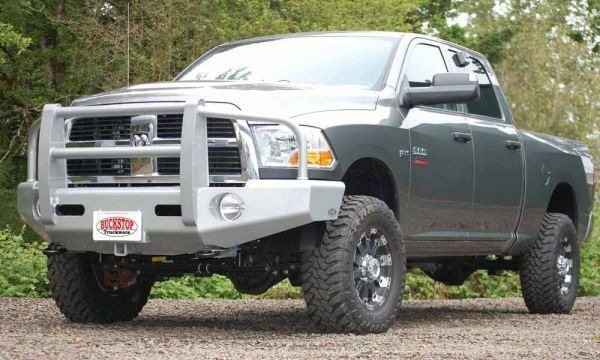 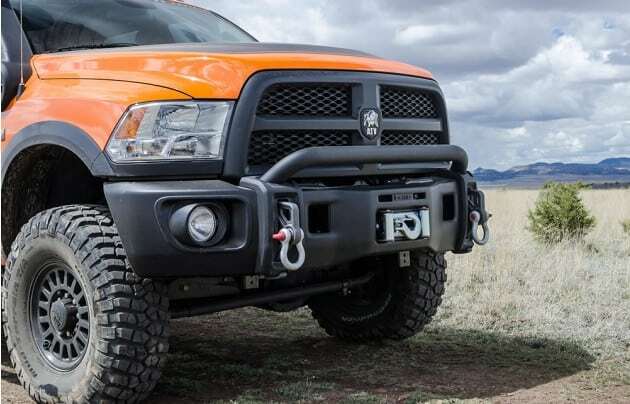 AEV has carried their expertise over to the fullsize truck market with their relatively new line of Ram 2500 / 3500 components including bumpers. 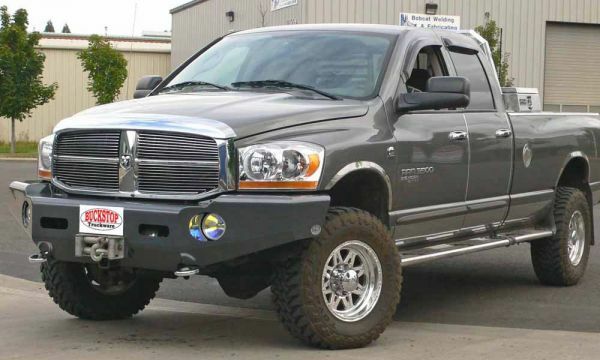 Available for 2010 Ram 2500 / 3500 trucks. 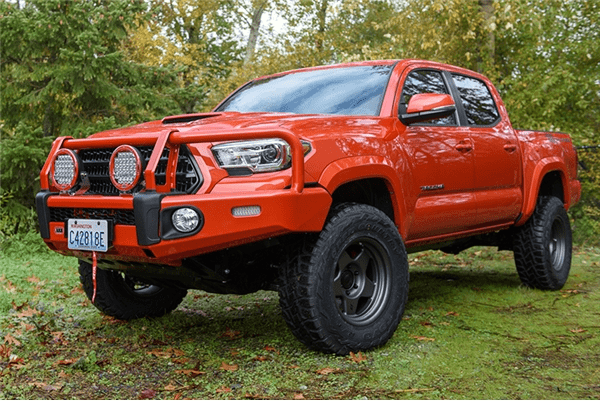 Available for 2016 Toyota Tacoma. 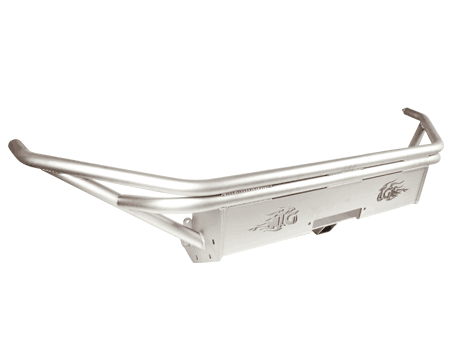 -Incorporates ARB’s renowned multi fold upswept and tapered wing design for optimum strength and approach angle. 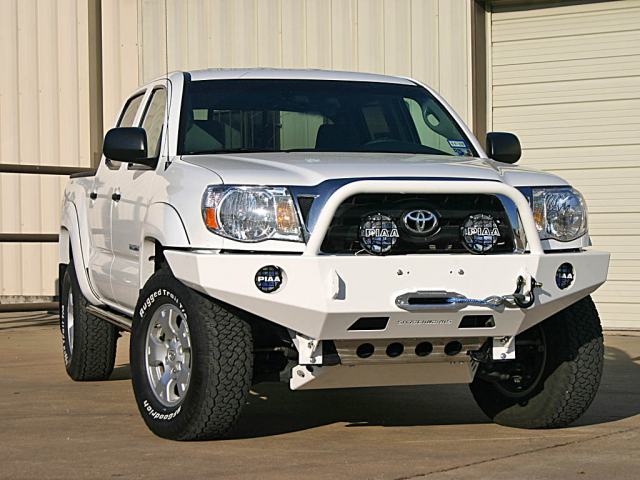 Pictured on 2007-2013 Toyota Tundra. 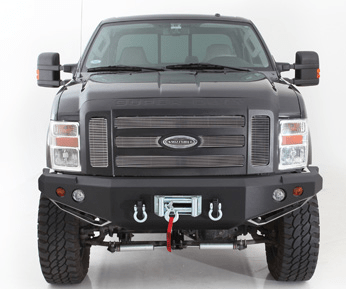 Available for most late model, domestic full size Ford, Chevrolet, and Dodge trucks. 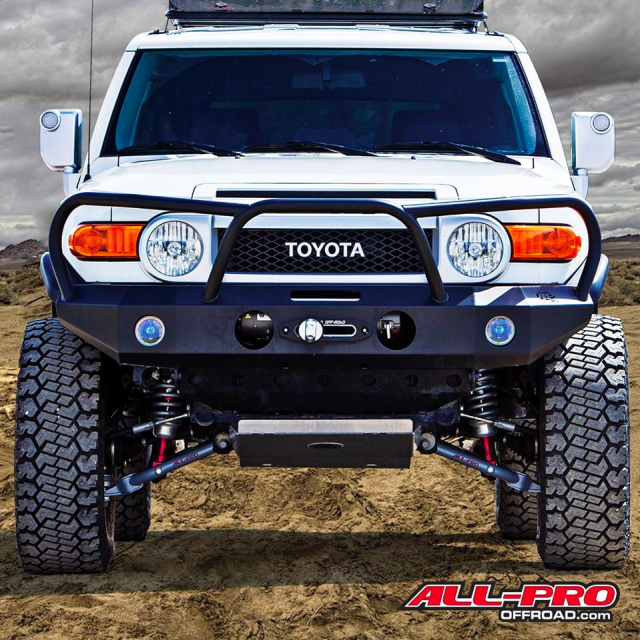 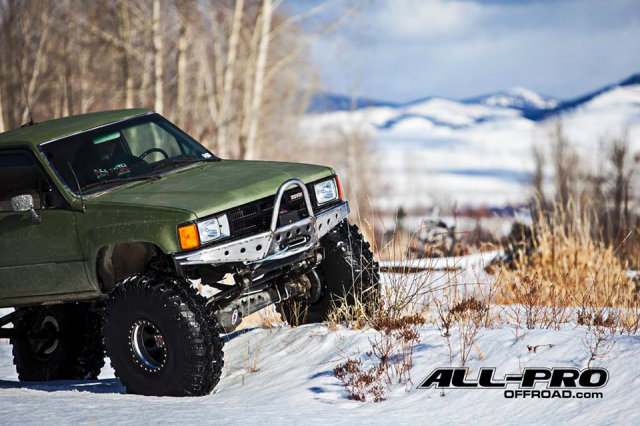 All-Pro has been in business since 1996 and has been popular in the rock crawling industry. 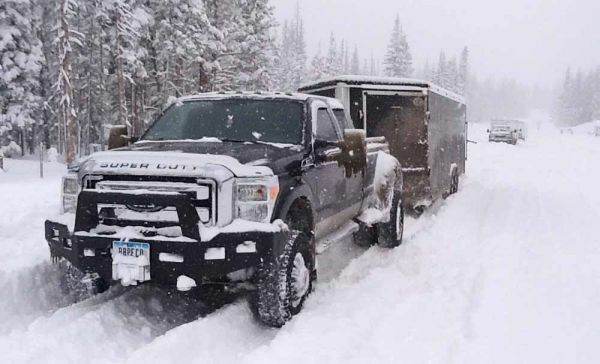 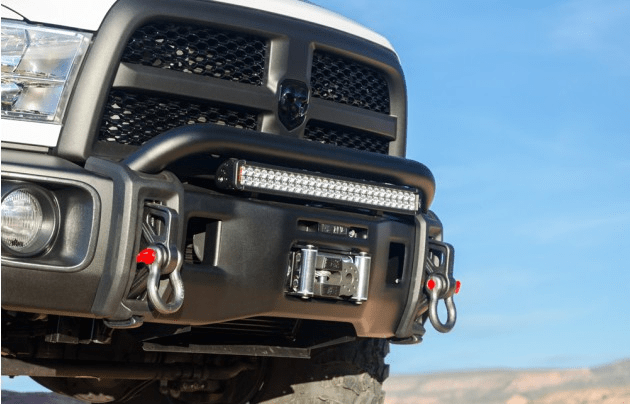 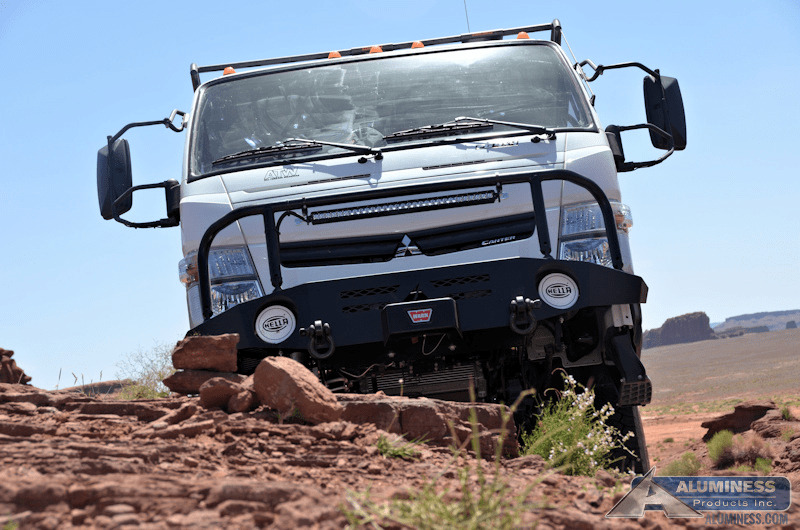 While developing bumpers for the rigors of tackling boulders, the company has learned how to create tough, quality bumpers. 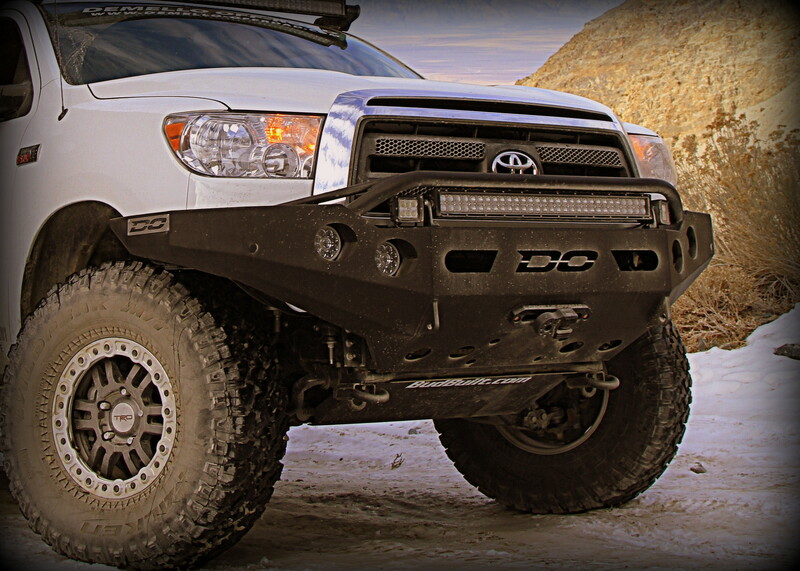 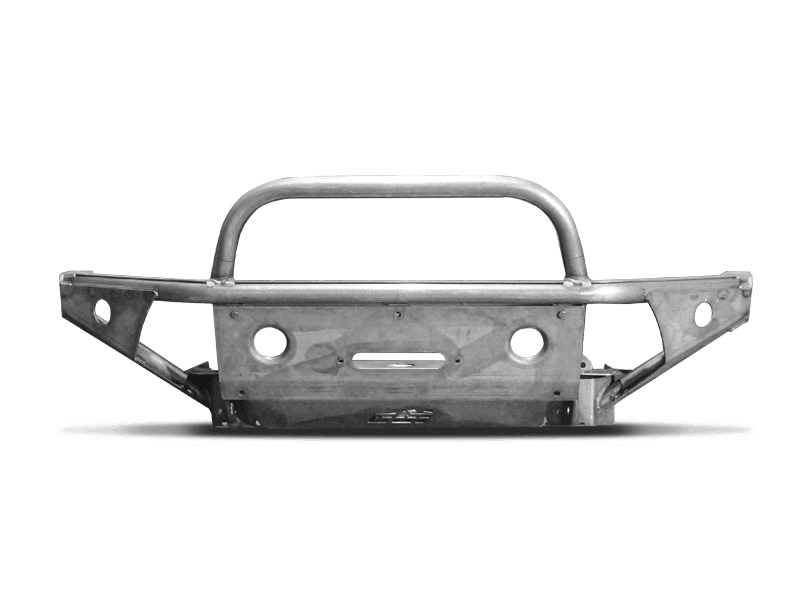 The Apex bumper (pictured below) carries this quality into other sectors such as backcountry travel. 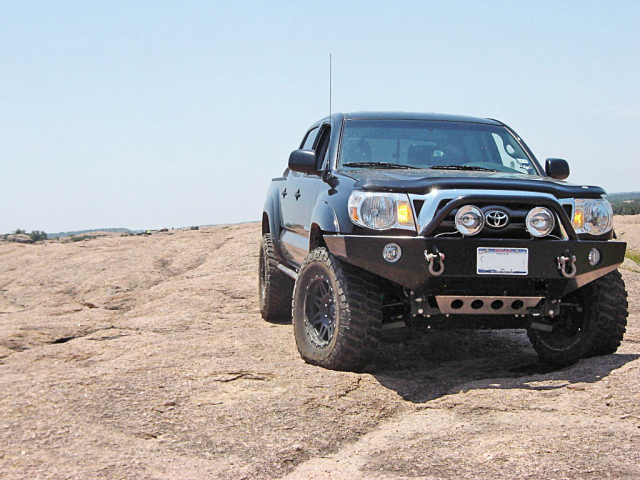 Pictured on 2005-2015 Toyota Tacoma. 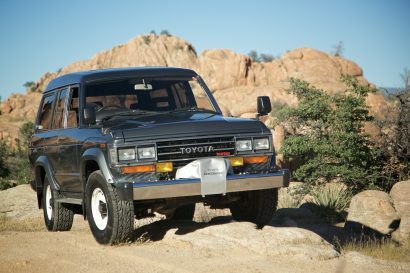 Also available for 1979-1995 Toyota Pickup Truck. 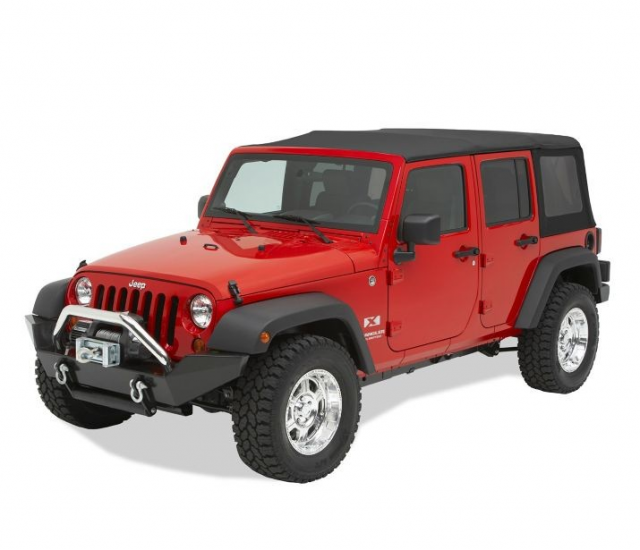 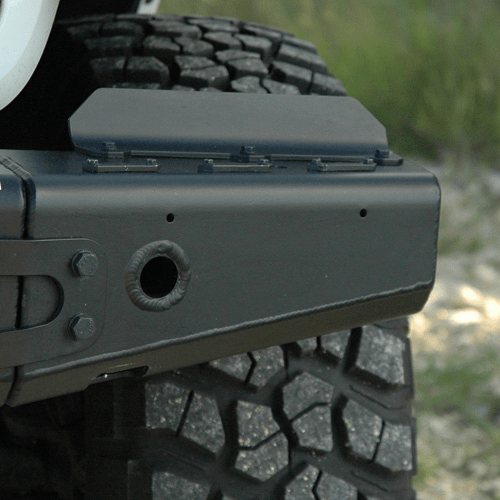 Bestop has been producing some of the highest quality replacement tops for Jeeps for decades. 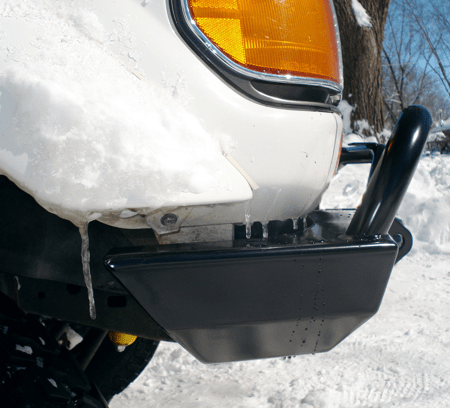 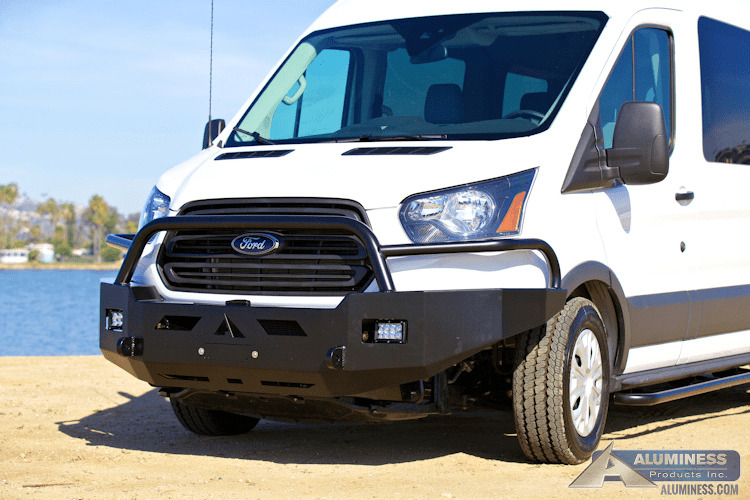 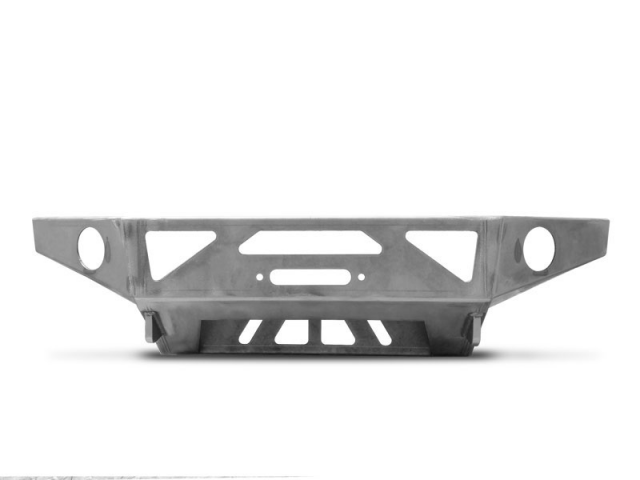 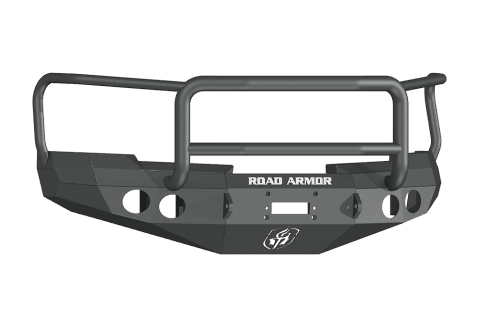 The company now boasts a laundry list of aftermarket components, including steel plate bumpers. 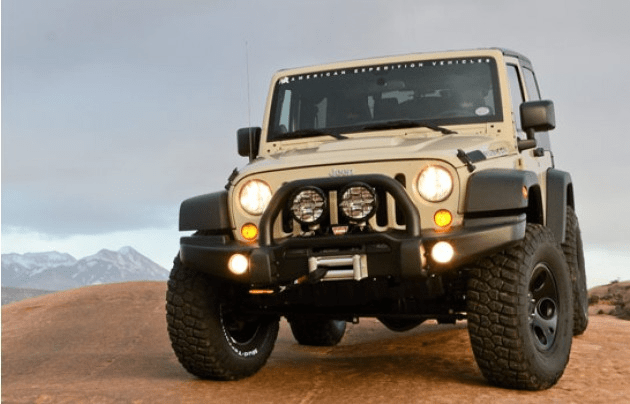 Available for 1989-Current Jeep Wrangler (YJ/TJ/JK). *Also available in mid width configuration. 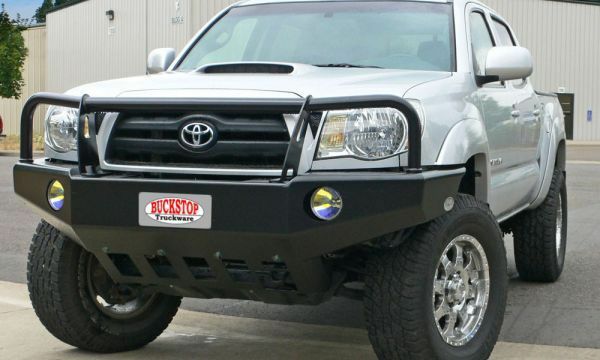 Buckstop is based in central Oregon and produces bumpers designed to serve both the recreational and commercial crowds. 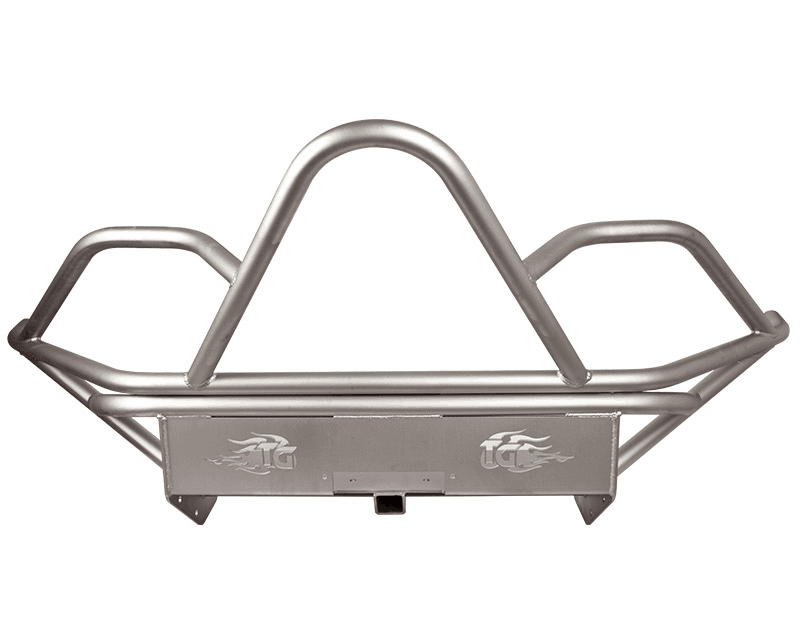 Their products are all made 100% in house from metal bending to powder coat, and each can be customized to the preferences of the buyer. 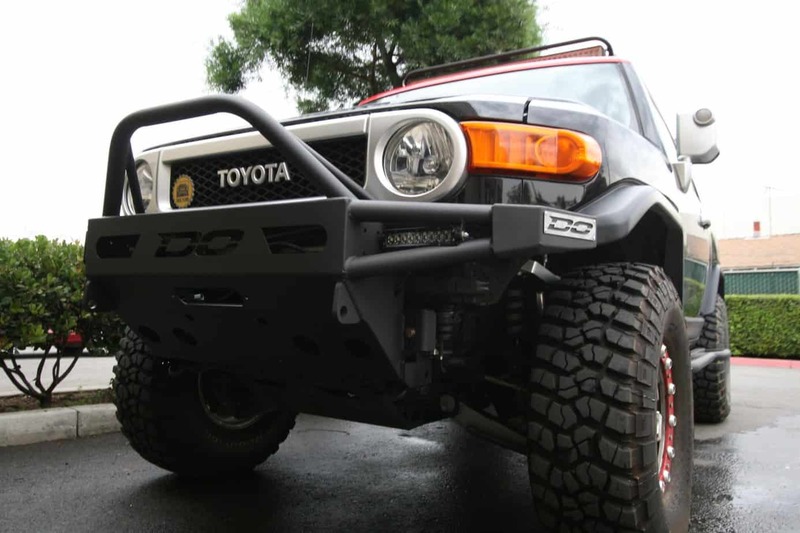 From the first simple bumper in 1994, to the range of products offered today, their team aims to make versatile high quality products to serve their owners for years to come. 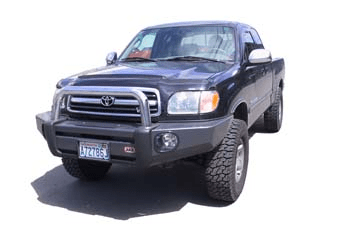 Available for 1996-2004 and 2005-2015 Toyota Tacoma. Available for 1996-2002 Toyota 4Runner. Available for 2003-2009 Toyota 4Runner. 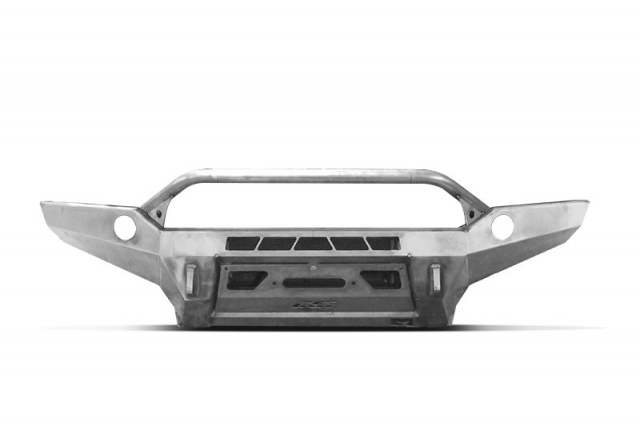 Available for 2010-2013 Toyota 4Runner. 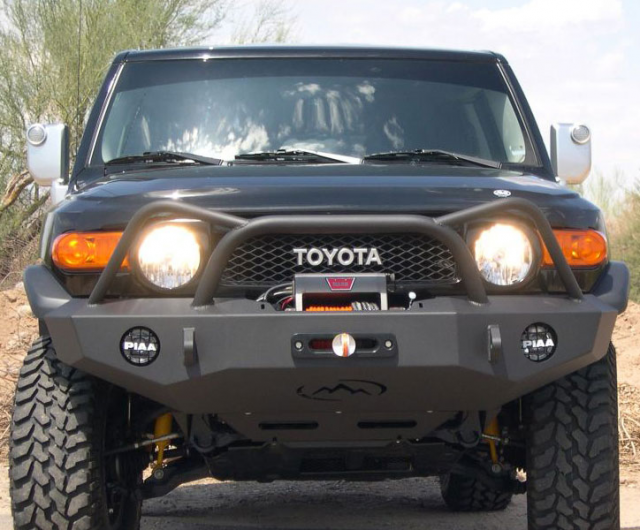 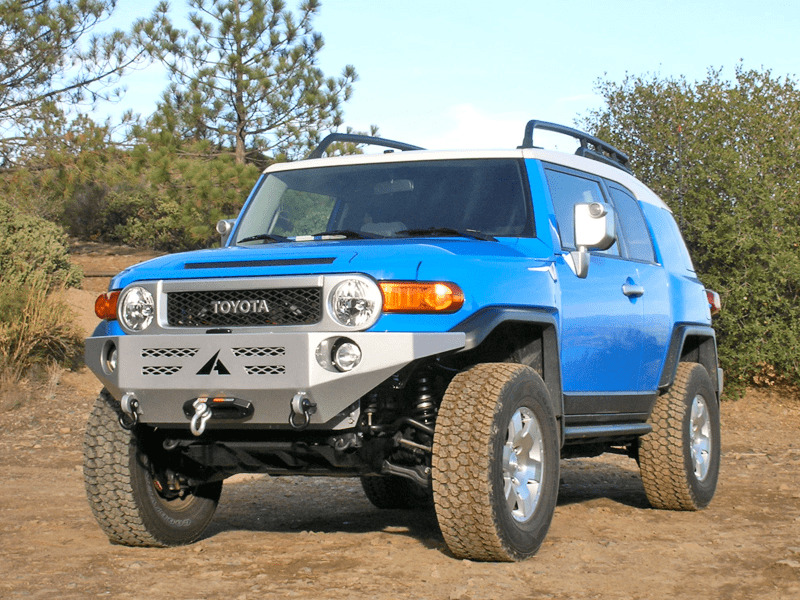 Available for 2010-2014 Toyota FJ Cruiser. 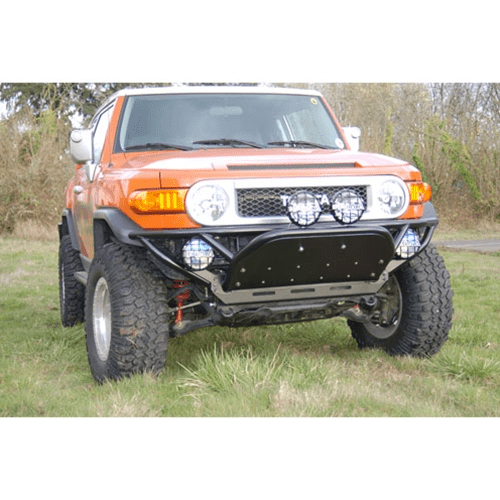 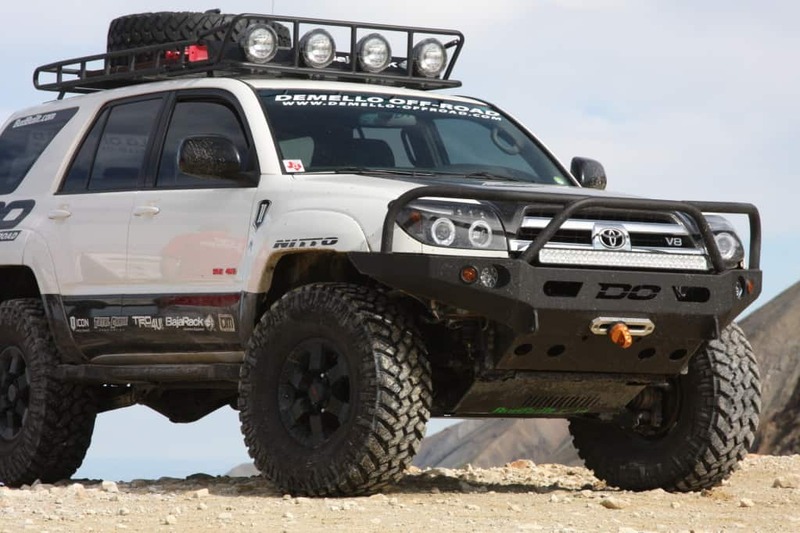 Available for 2003-2016 Toyota 4Runner; 2005-2015 Toyota Tacoma; 2010-2014 Toyota FJ Cruiser. 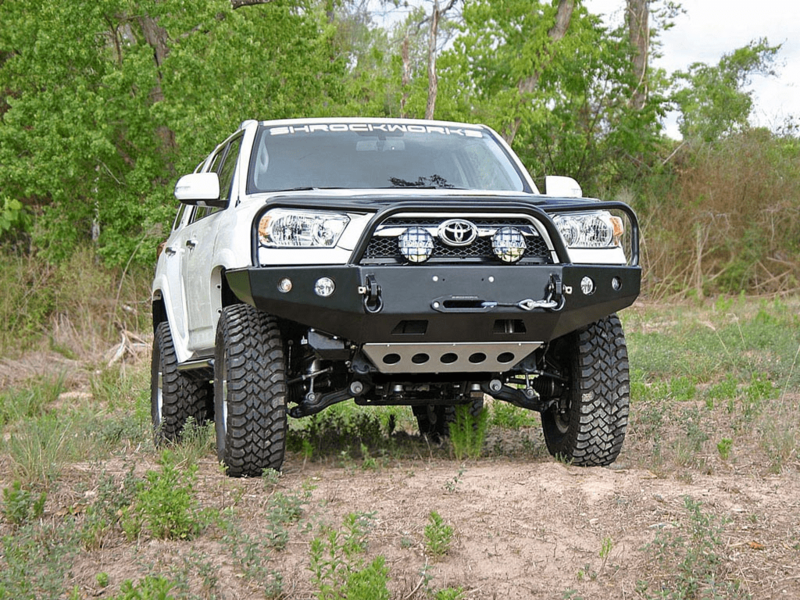 Available for 2003-2009 Toyota 4Runner, and 2012-2014 Toyota Tacoma. 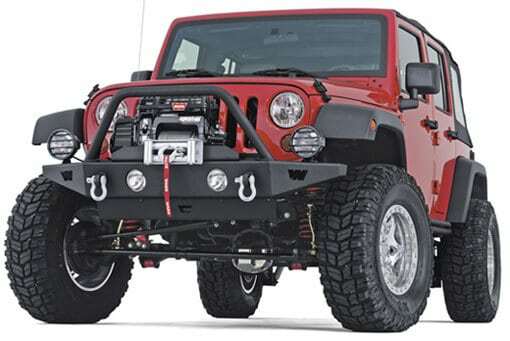 Available for 2007+ Jeep JK. 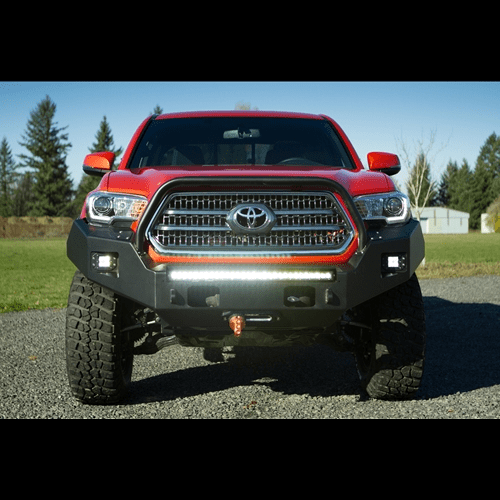 Available for 2007-2013 Toyota Tundra; 2016+ Toyota Tacoma. Available for 2010-2014 Toyota FJC. 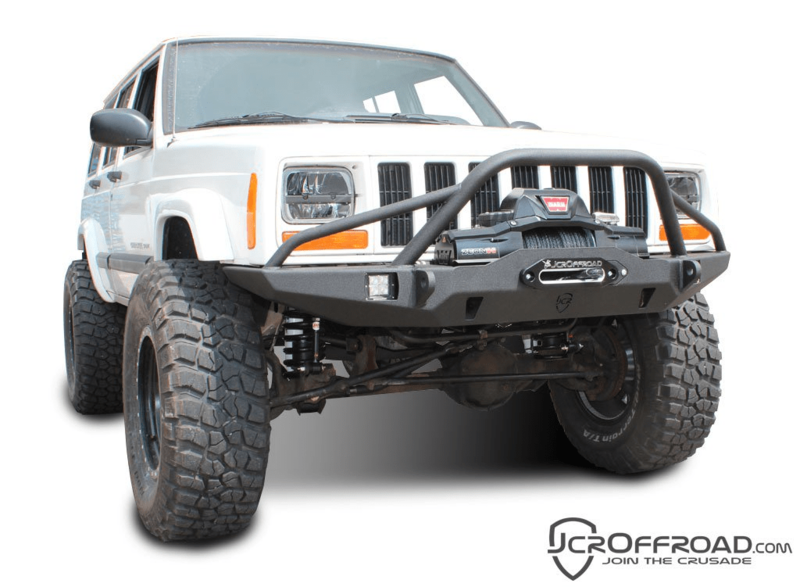 *6 Variants of FJC bumpers are available. 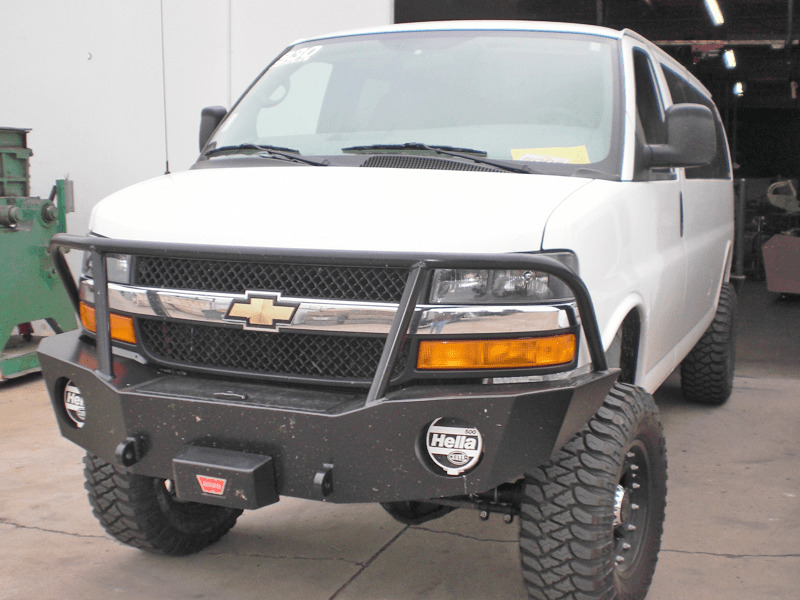 Available for 2007+ 2500/3500 Chevrolet Pickup. 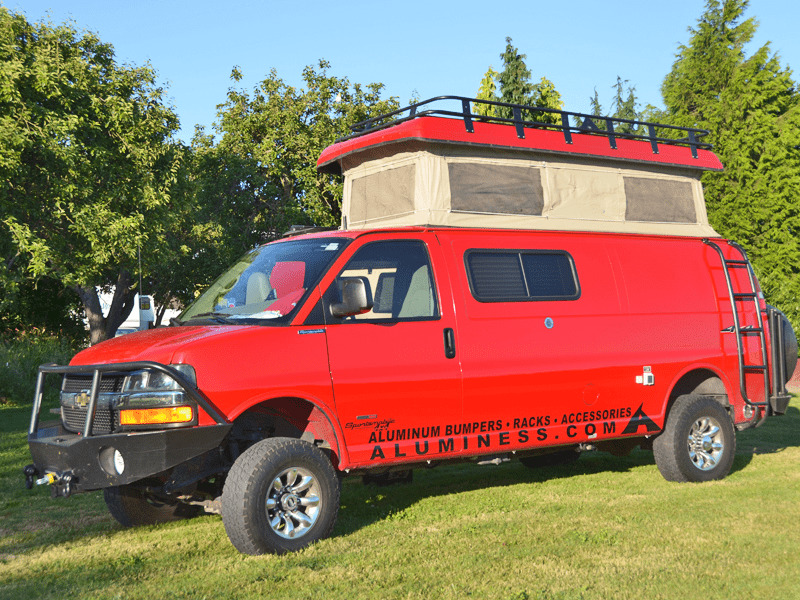 “Fab Fours’ was born out of a passion for customizing vehicles and a love of the outdoors…”. 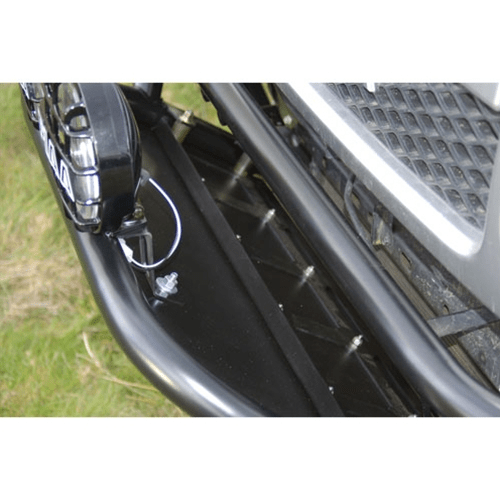 Their products range from mild to the extreme, but all are created with the same care and attention to detail. 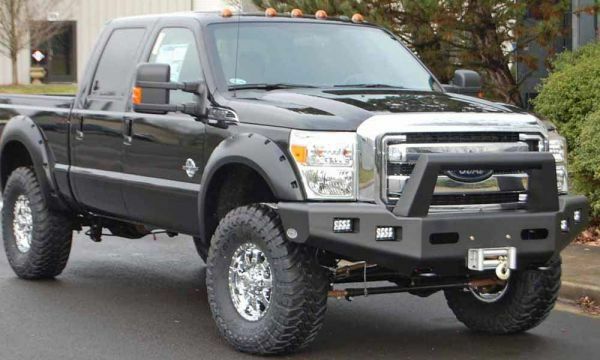 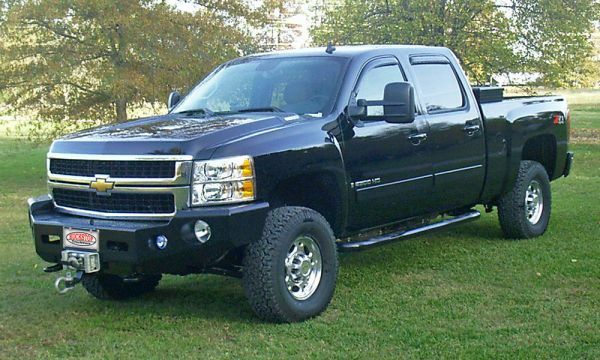 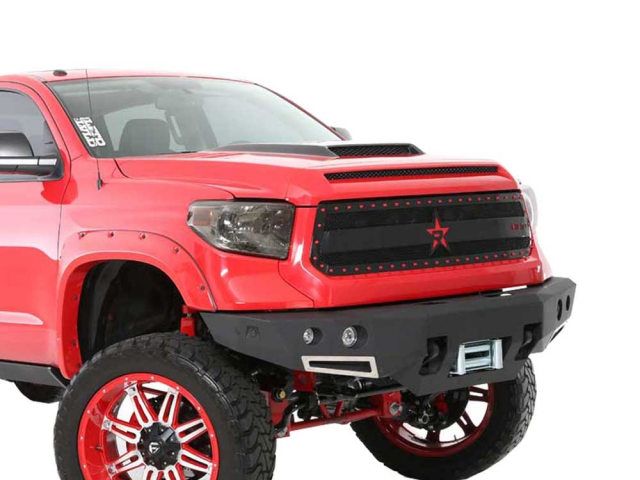 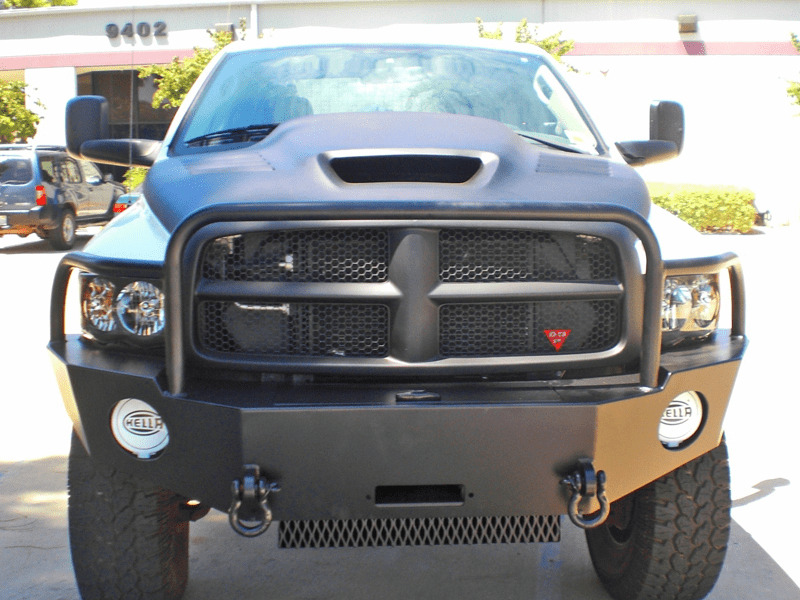 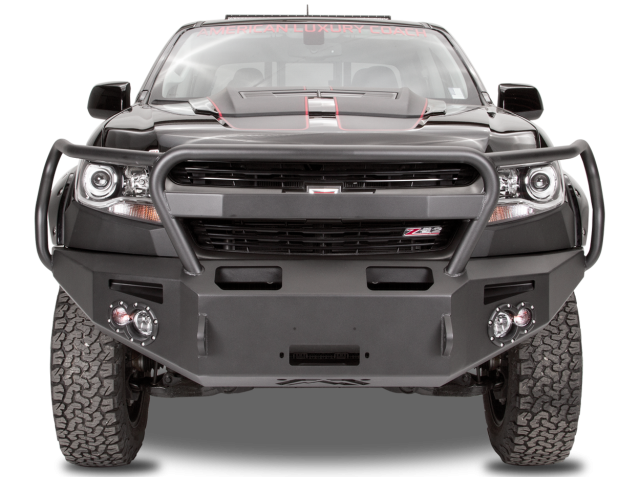 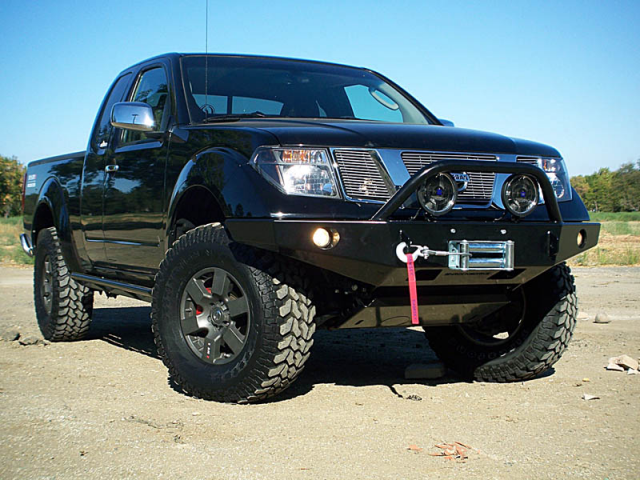 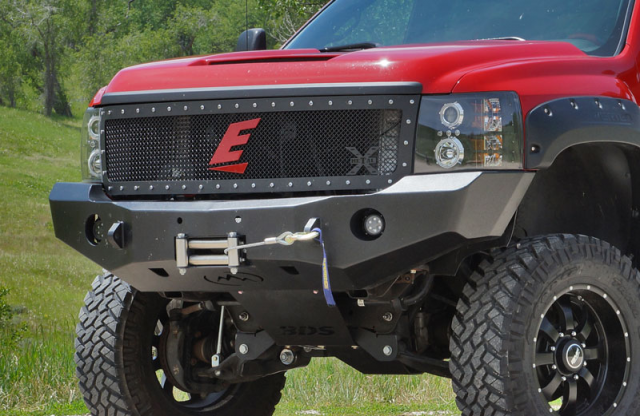 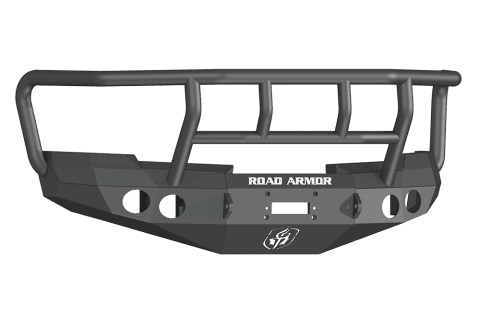 Fab Fours offers armor solutions for Chevrolet, Dodge, Ford, GMC, Jeep, Nissan, and Toyota. Also available for 2007-2016 Chevrolet 1500; 2007.5-2016 2500/3500; 2007-2014 Suburban/Tahoe; 2009-2016 Dodge Ram 1500; 1994-2016 Dodge 2500/3500; 2009-2016 Ford F150; 2010-2015 Ford Raptor; 1999-2016 Ford 2500/3500 Super Duty; 2004-2014 Nissan Titan; 2007-2016 Toyota Tundra; 2005-2016 Toyota Tacoma; 2007-2014 Toyota FJC. 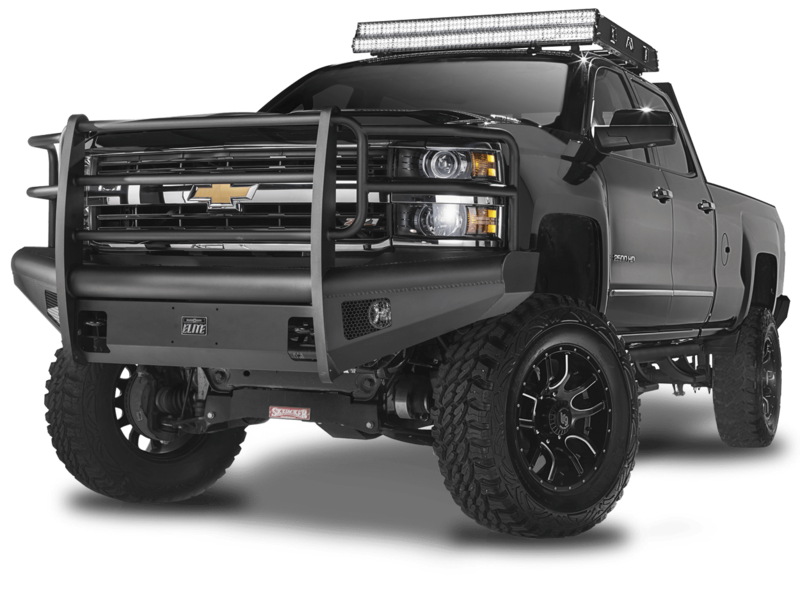 Pictured on 2015-2016 Chevrolet 2500-3500 HD. 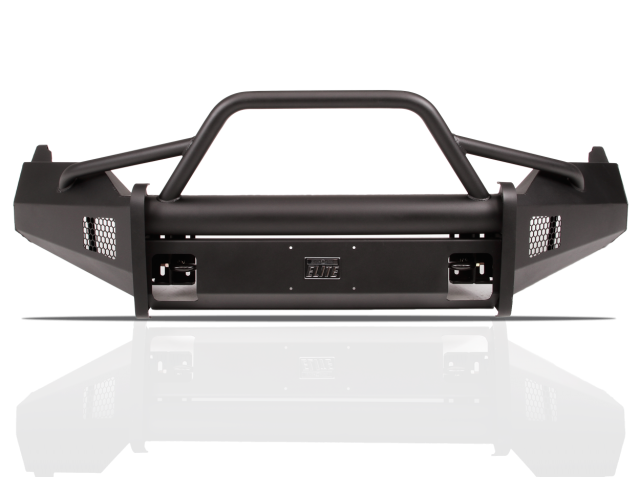 Also available for 2007-2016 Chevrolet 1500; 2007.5-2016 2500/3500; 2007-2014 Suburban/Tahoe; 2009-2016 Dodge Ram 1500; 1994-2016 Dodge 2500/3500; 2009-2016 Ford F150; 1999-2016 Ford 2500/3500 Super Duty; 2004-2014 Nissan Titan; 2007-2016 Toyota Tundra; 2005-2016. Available for 2007-2015 Jeep JK. 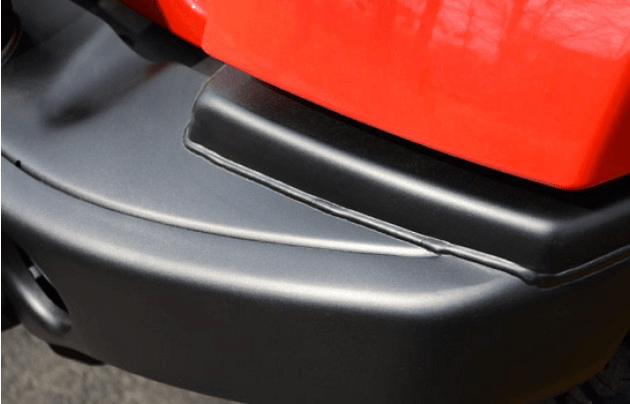 Pictured on 2012-2016 Toyota Tacoma. 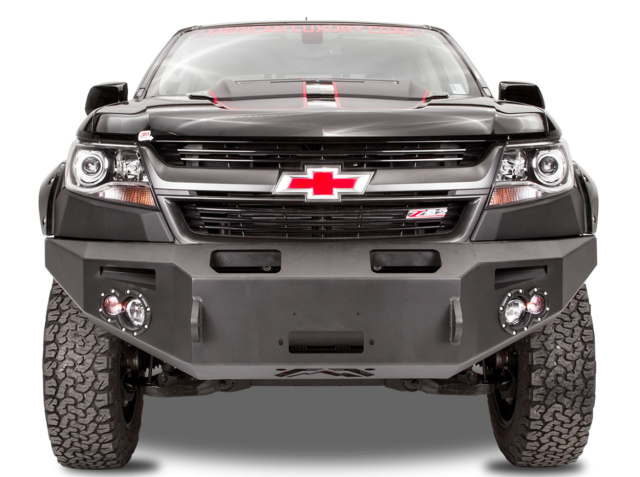 Also available for 2014-2016 Chevrolet 1500; 2015-2016 Chevrolet 2500/3500; 2013-2015 Dodge Ram 1500; 2010-2016 Dodge 2500/3500; 2009-2016 Ford F150; 2010-2014 Ford Raptor; 2011-2015 Ford 2500/3500 Super Duty; 2007-2016 Jeep JK; 2012-2016 Toyota Tacoma; 2014-2016 Toyota Tundra. 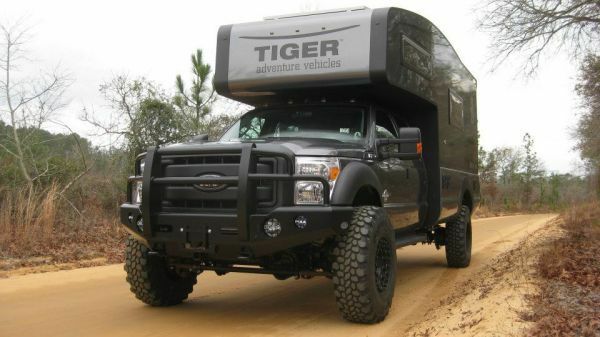 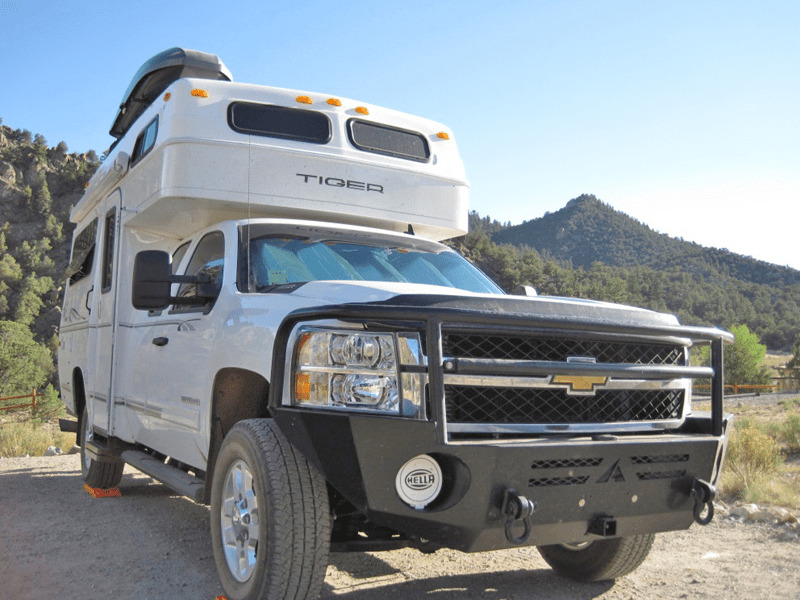 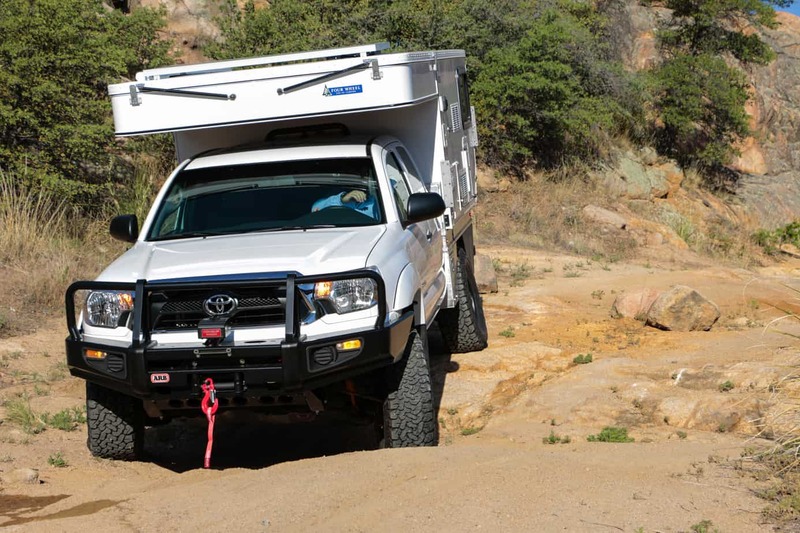 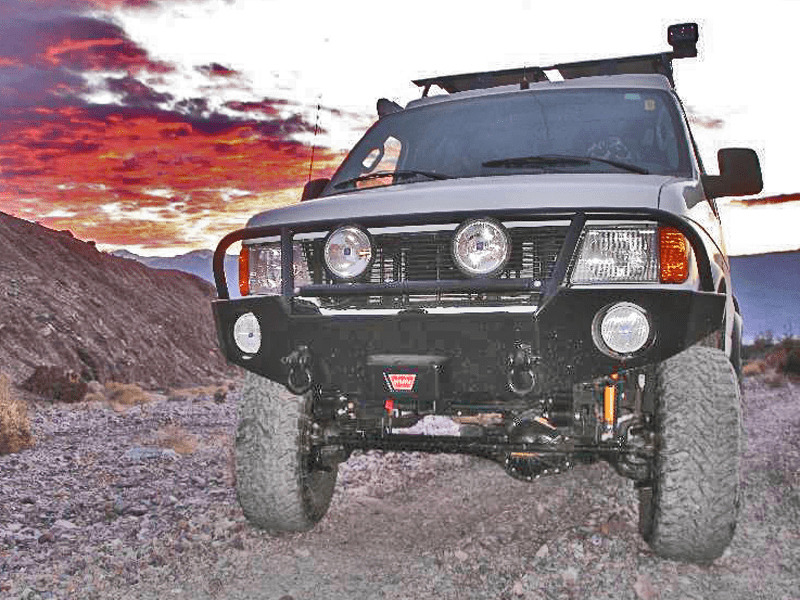 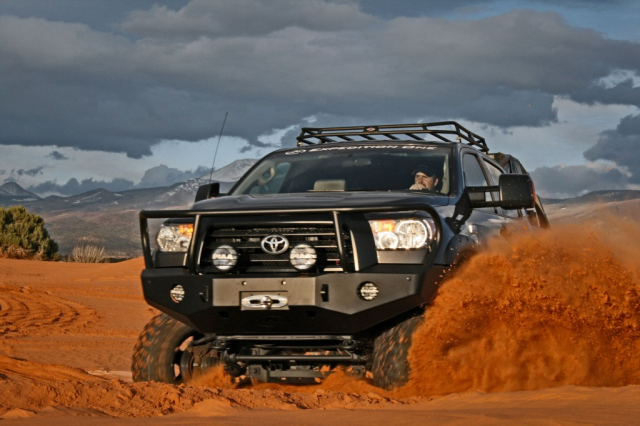 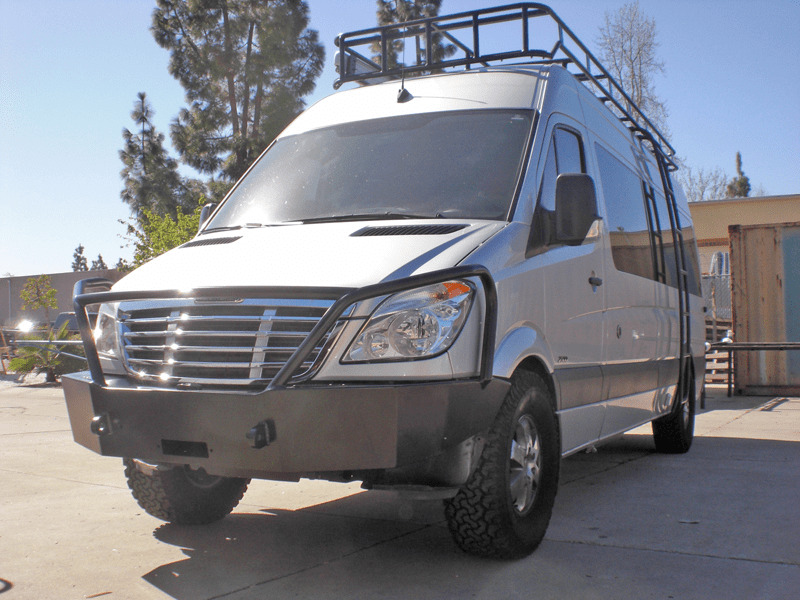 Front Runner provides solutions for a multitude of off road, Overlanding purposes. 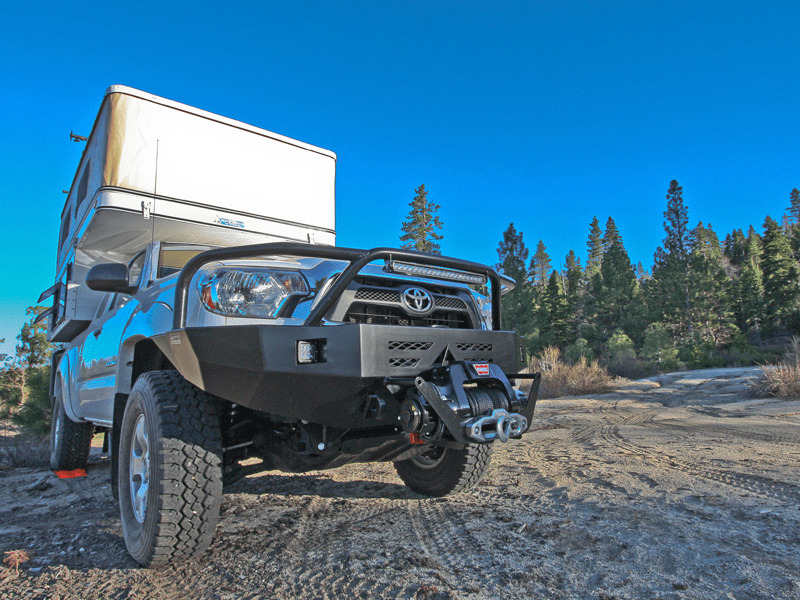 From cooking, sleeping quarters, to storage solutions, Front Runner has you covered for nearly every aspect of your journey. Available for Mercedes Gelandewagen 461 and Pro. 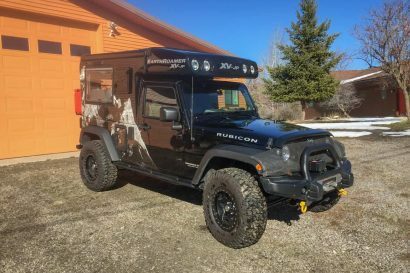 “Armor for Jeeps, Handmade in the USA”. 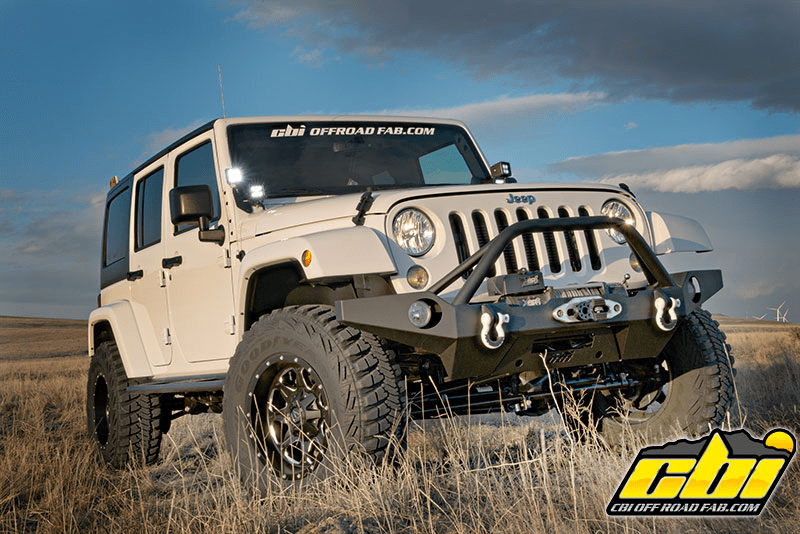 This mission statement is what guides JCR Offroad to innovate and create a multitude of high quality products for Jeeps. All JCR products are made in America using American steel and hardware by a team of highly skilled craftsmen. 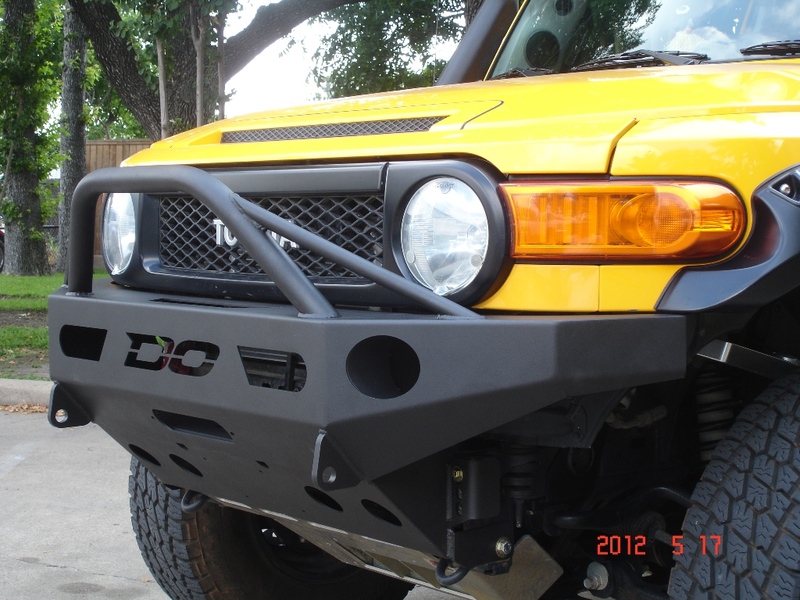 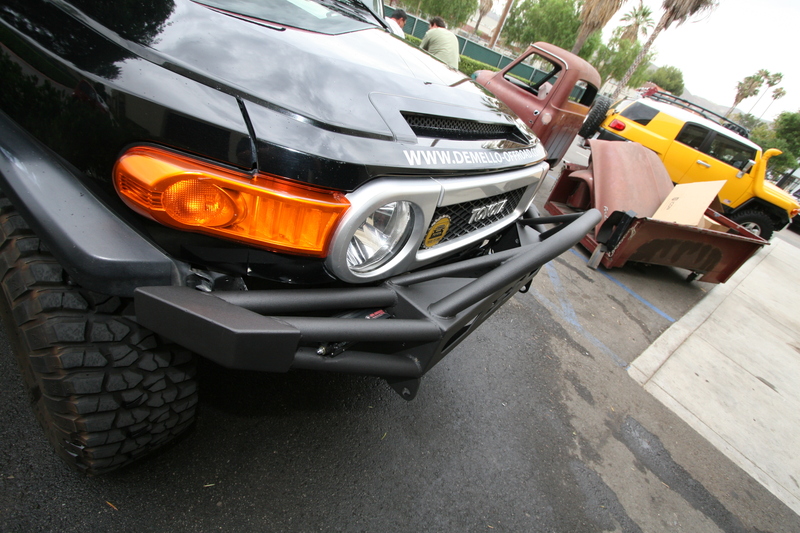 Their extensive line of handmade bumpers show their commitment to quality and purpose. 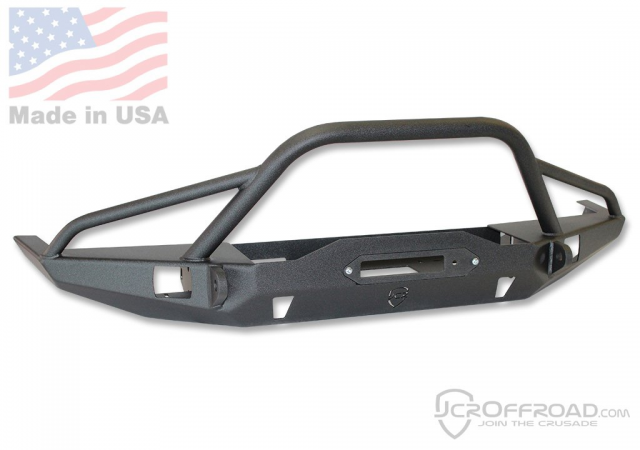 Available for 1984-2001 Jeep Cherokee. 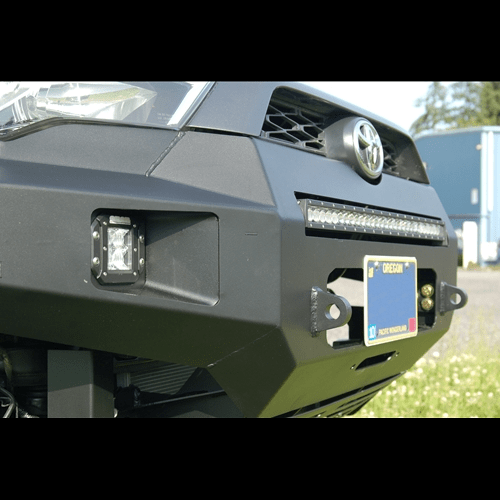 Metal-Tech staff can be found in the back roads of their hometown in Portland, Oregon. 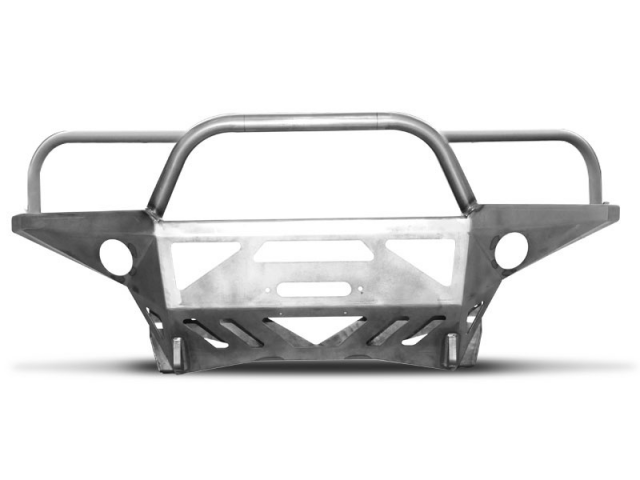 After creating their first tube bumper, they began to realize that their needs were shared by others in the off road community – Metal-Tech was born soon after. Pictured on Toyota FJ Cruiser. 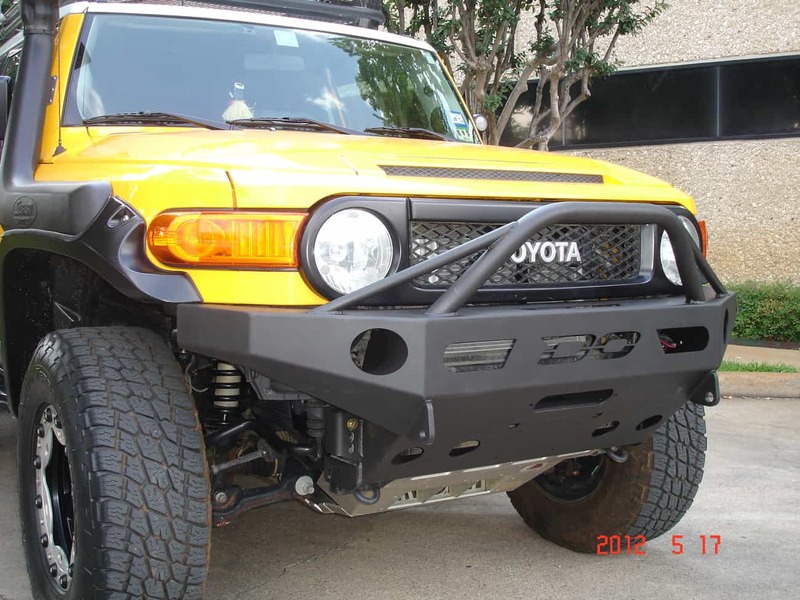 Also available for 2003-3009 4-Runner and Toyota FZJ80. 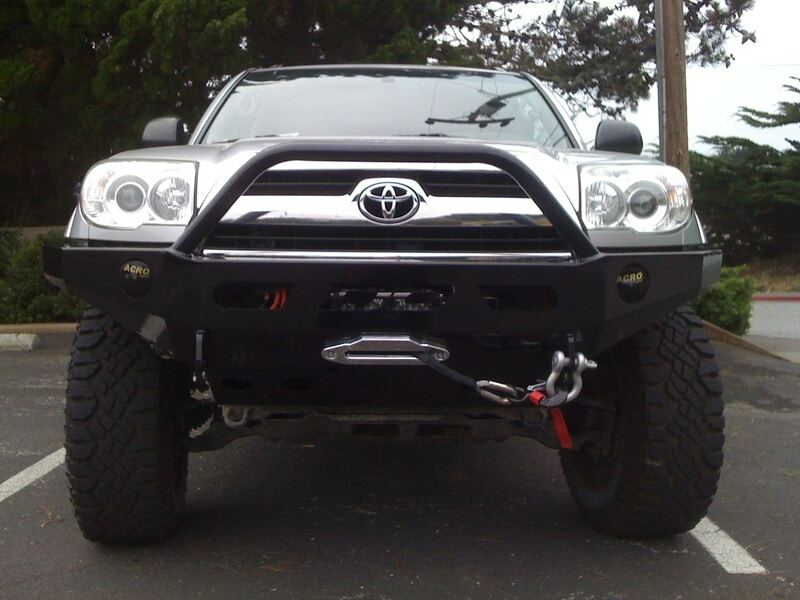 Available for 2014 Toyota 4-Runner only. 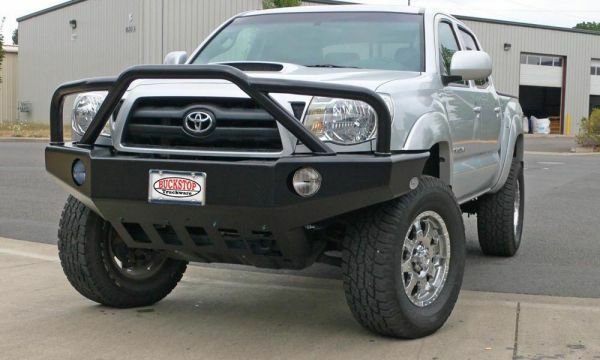 Available for 2016 Toyota Tacoma only. 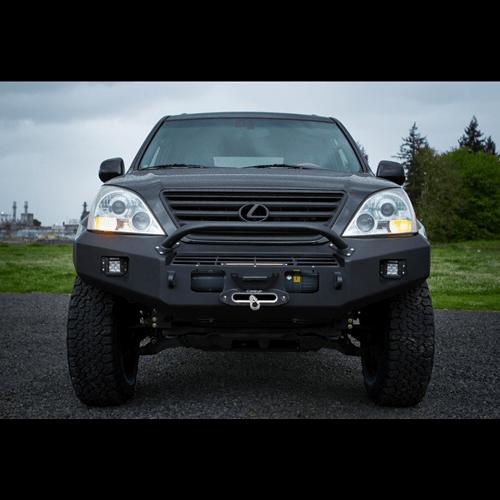 Available for 2003-2009 Lexus GX470 only. 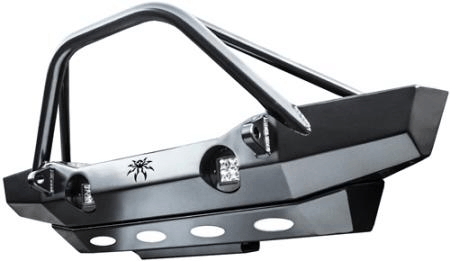 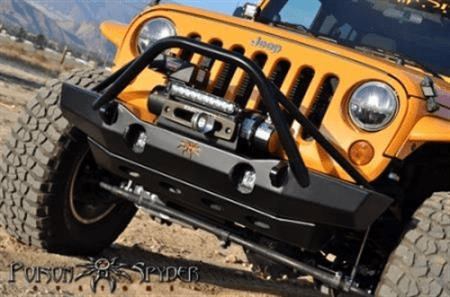 Poison Spyder is well known in the rock crawler community. 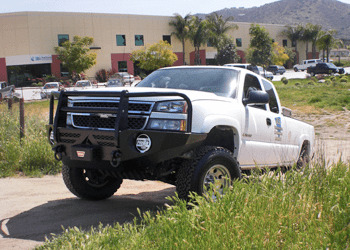 Their products are touted for their high quality as well as tough construction. 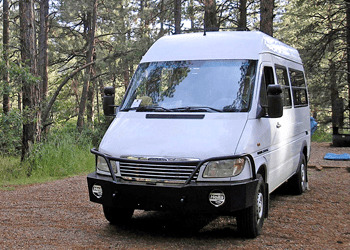 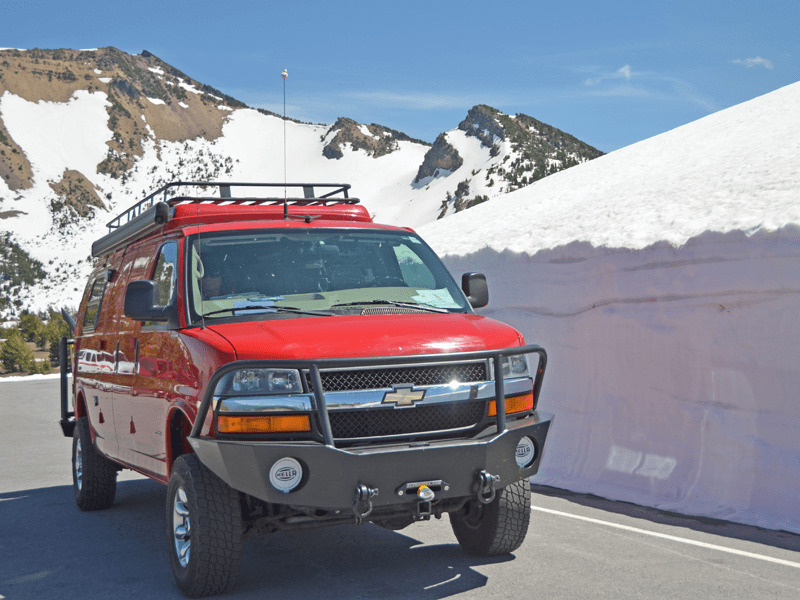 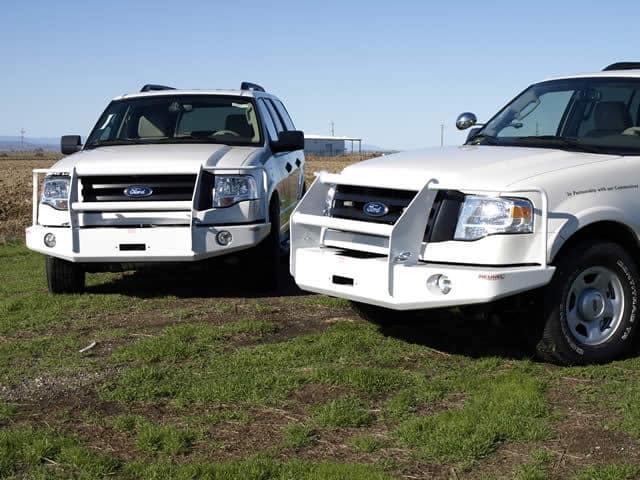 Their full width bumpers provide excellent protection for both on highway and backcountry travel. 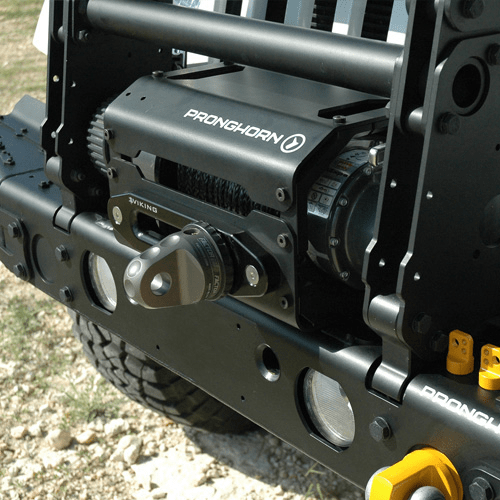 -Winch compatibility: Warn Powerplant, Warn xd 9000; Warn xd 9000i; Warn 9.5ti Warn m15000; Warn 16.5ti. 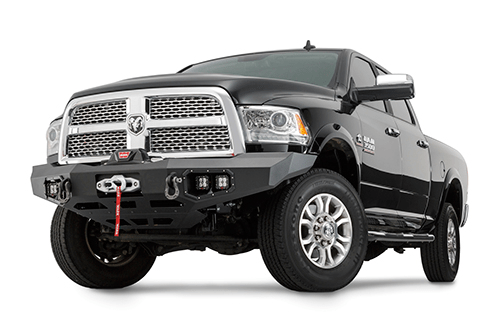 Available for: Dodge Ram 2003-2011; Dodge Sport 1999-2011; Dodge 1973-1998. 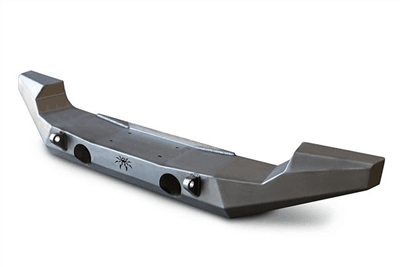 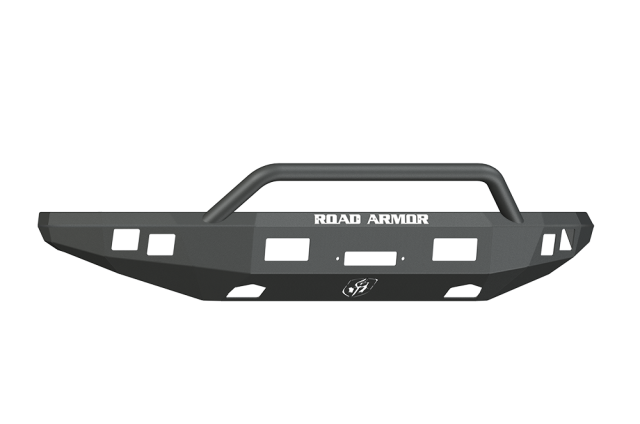 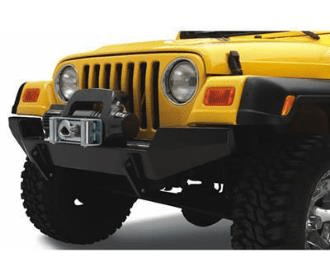 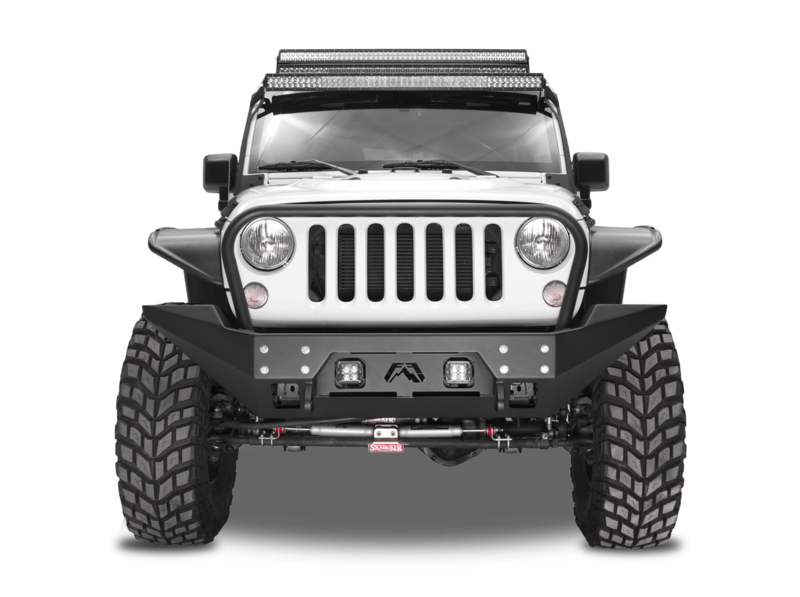 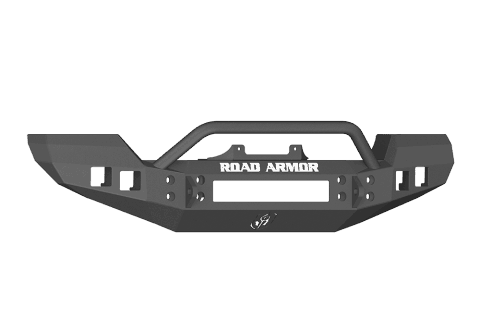 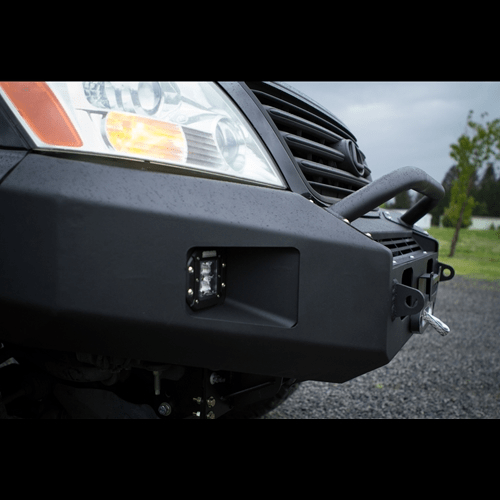 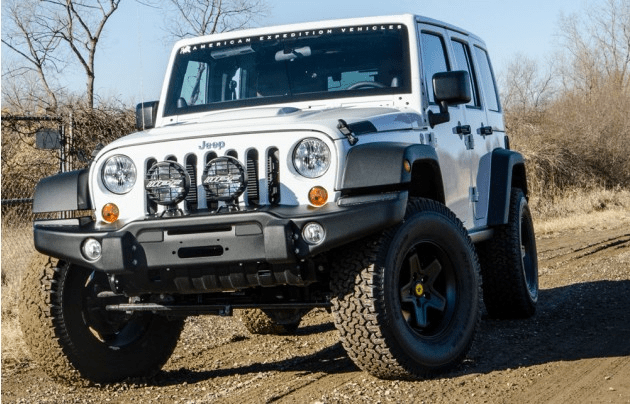 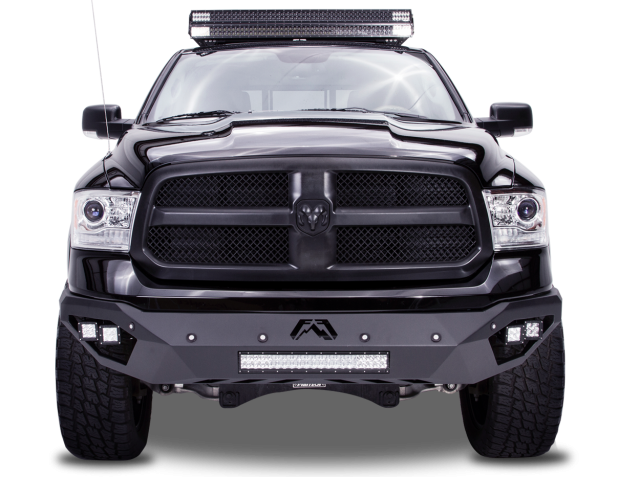 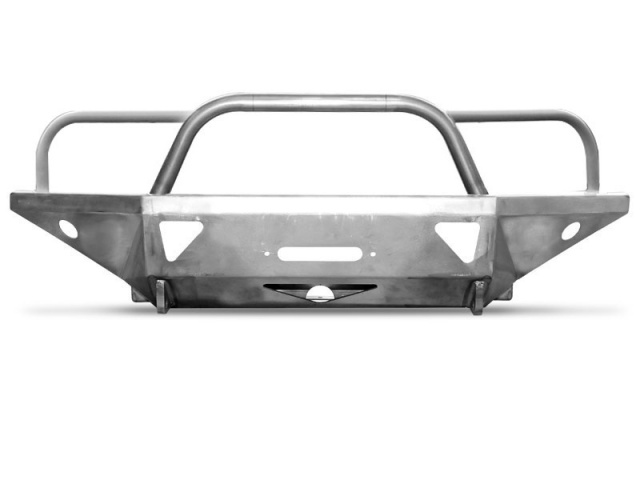 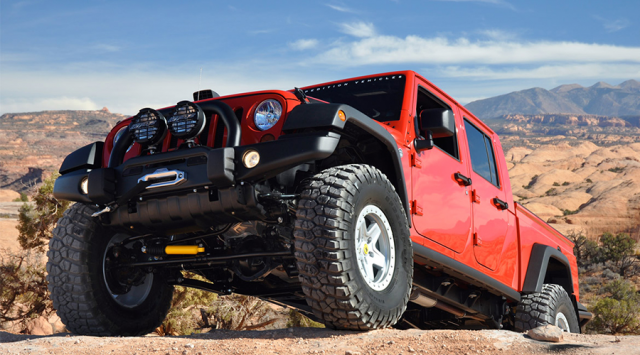 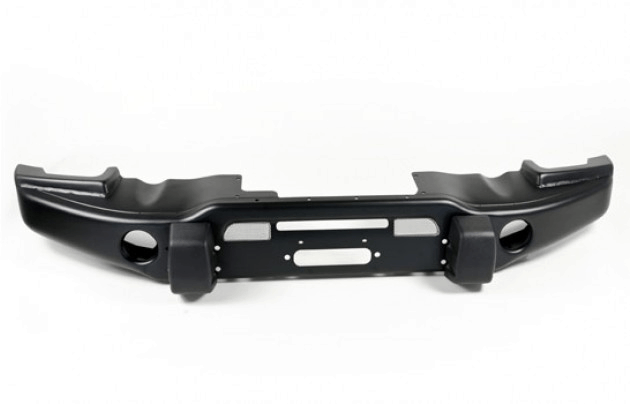 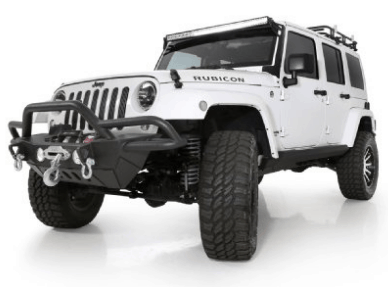 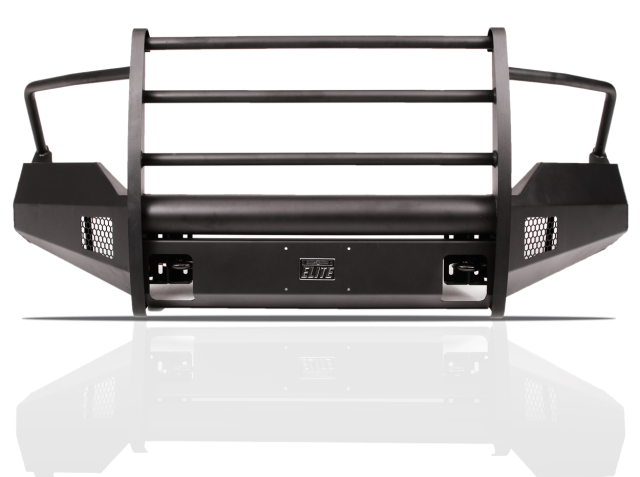 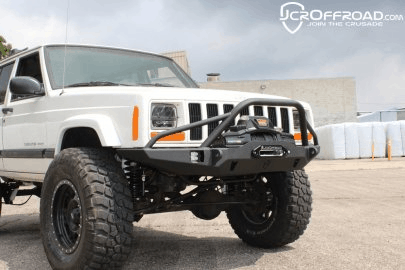 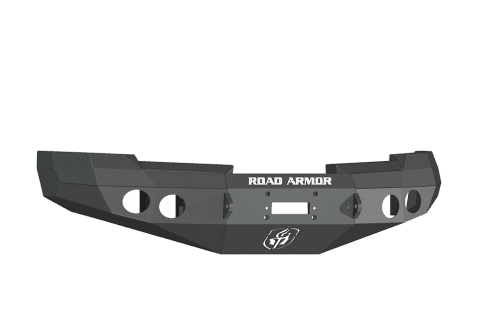 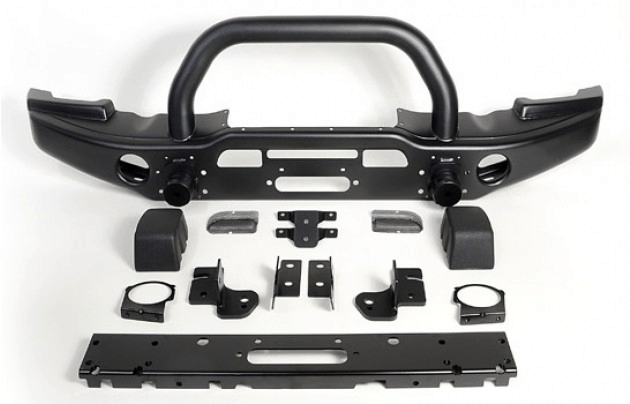 Road Armor offers three to four standard bumpers for most popular pickup trucks (Toyota FJC included) and two full width front bumpers for the Jeep JK. 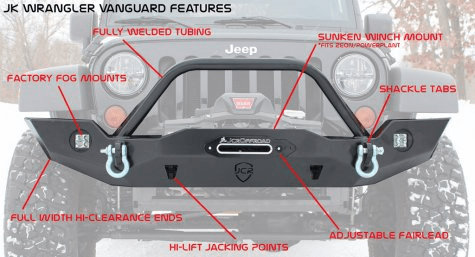 All Toyota and Jeep JK bumpers are airbag (SRS) compatible. 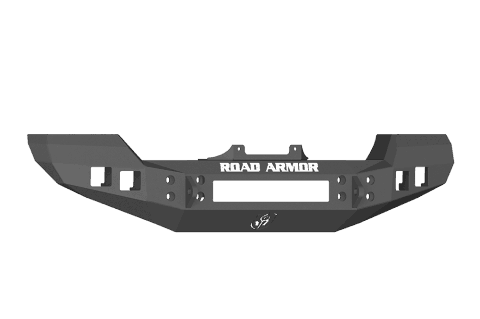 Available for 2010-2016 Ford Raptor. 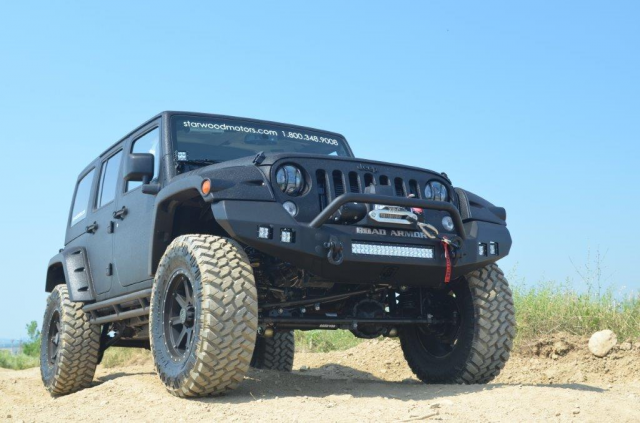 Available for 2007-Present Jeep JK. 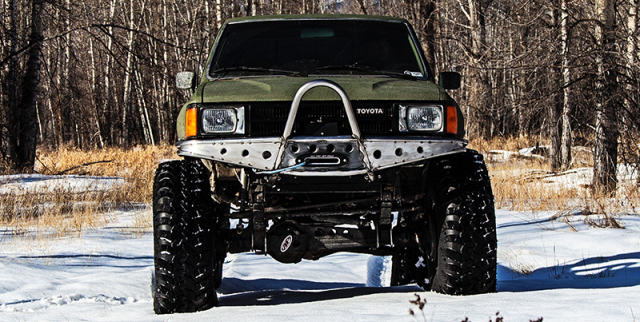 “At ShrockWorks, dueling with Mother Nature off the pavement is our passion. 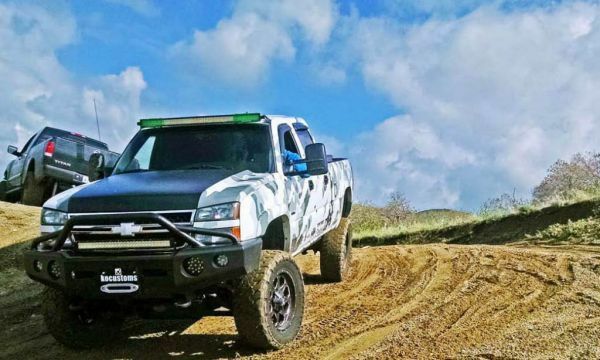 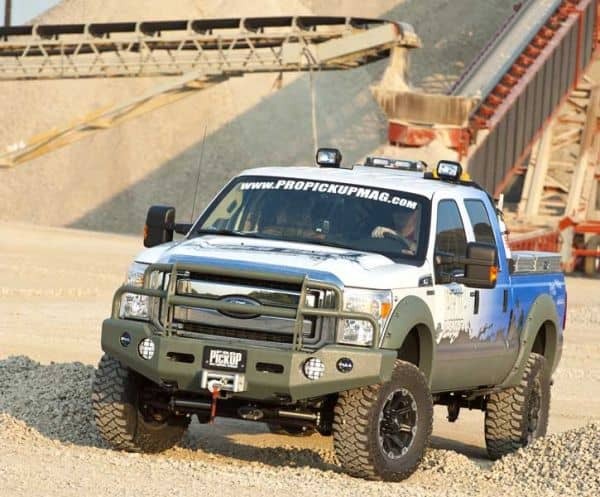 It’s a ton of fun, but she is often a very formidable adversary… Our goal is to ensure you get through the trail with your truck in one piece, without making it look like a tank someone made in a high school shop class. …Only the best and strongest materials are selected for each product. 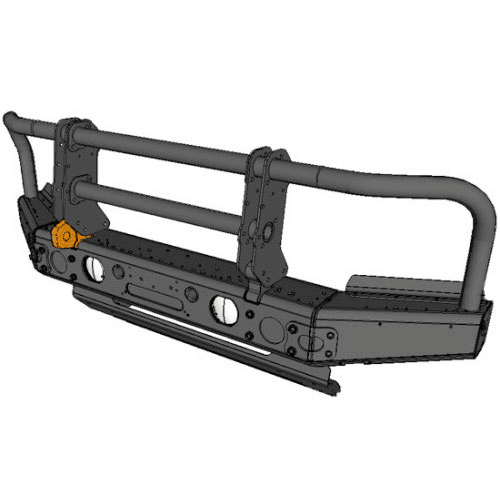 However, that does not mean simply building every product from 200 lbs of steel. 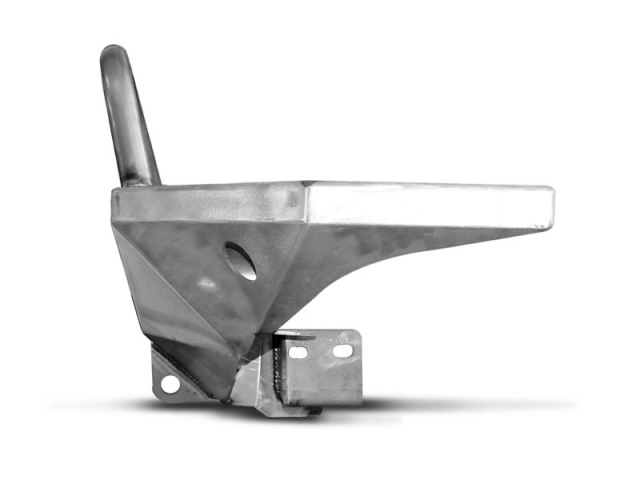 All ShrockWorks products are designed to have a very high strength-to-weight ratio. 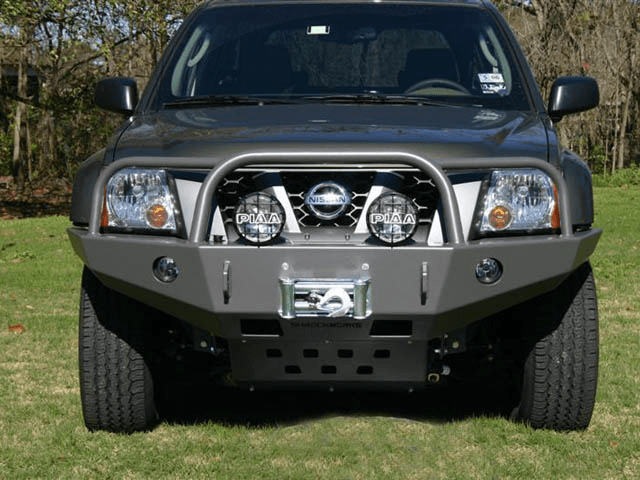 Available for 2005-2015 Nissan Xterra and Frontier; other versions are available for previous generations of the Nissan Xterra and Frontier. 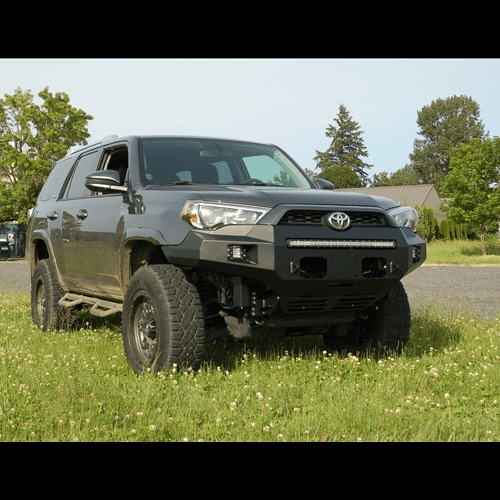 Available for 2010-2016 Toyota 4Runner. 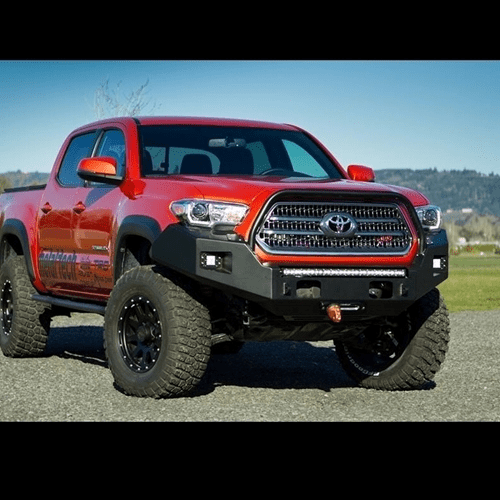 Available for 1996-2015 Toyota Tacoma; 2014-2016 Toyota Tundra. 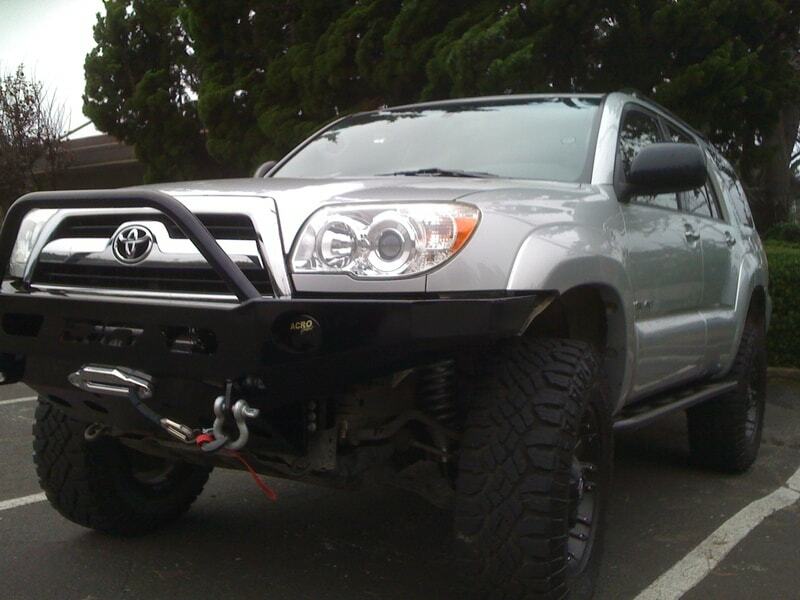 2005-2015 Tacoma pictured above. 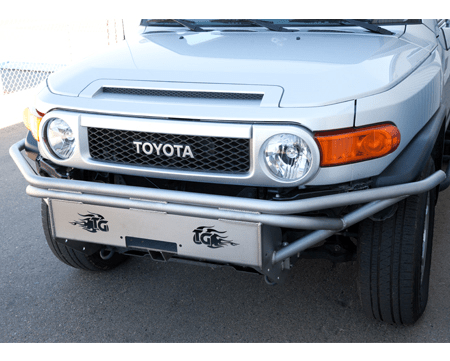 Available for 2007-2014 Toyota FJ Cruiser. 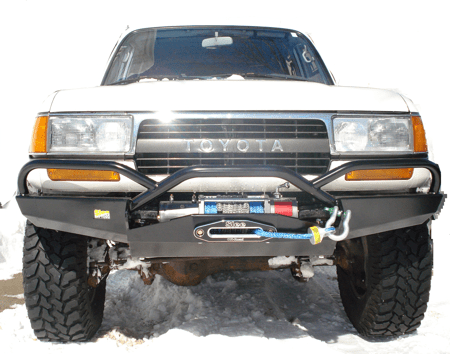 Available for 1991-1997 Toyota 80 Series Land Cruiser. 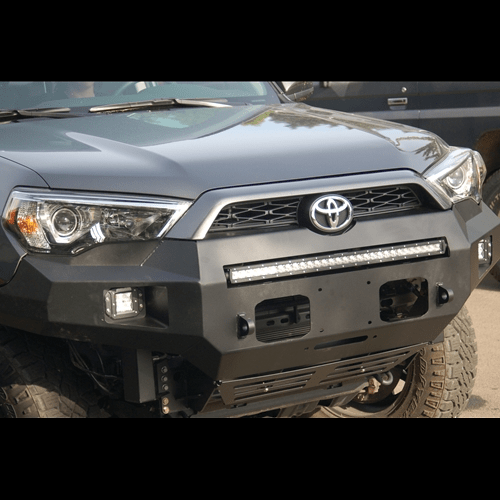 Available for 2014-2016 Toyota Tundra; 2007-2014 Toyota FJ Cruiser; 2006-2012 Dodge Ram 2500/3500; 2008-2015 Chevrolet 2500/3500; 2014 Chevrolet 1500; 2008-2005 Ford F250/F350 Super Duty. 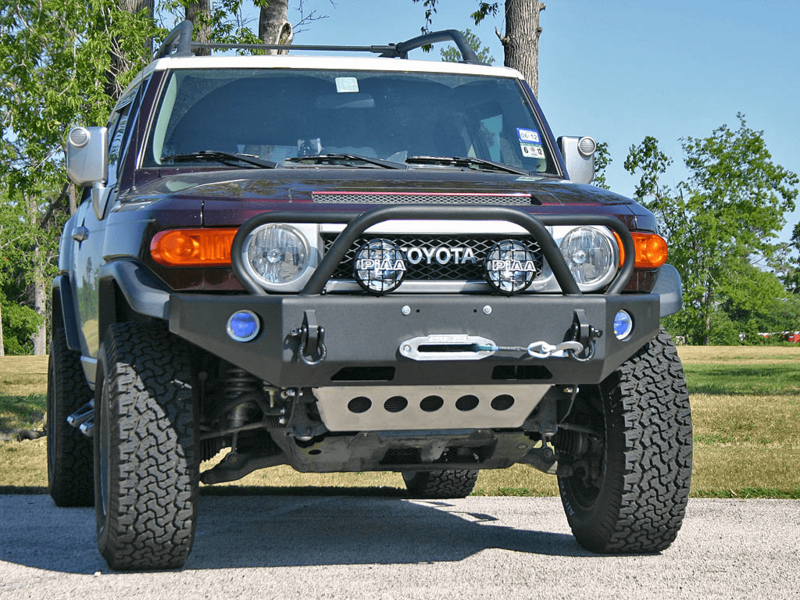 Available for the 2007-2014 Toyota FJ Cruiser; 1995-20015 Toyota Tacoma; 1985-1995 Toyota 4Runner; 1984-1995 Toyota Pickup; Toyota FJ80 Land Cruiser. 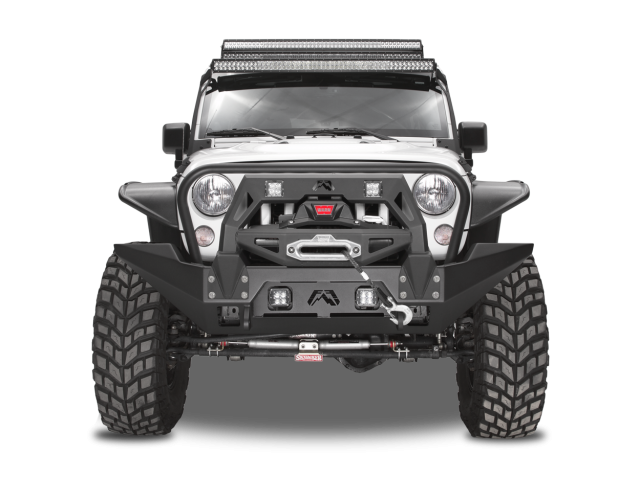 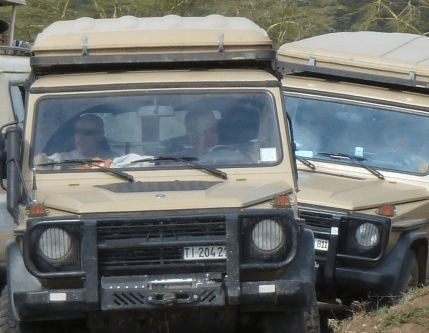 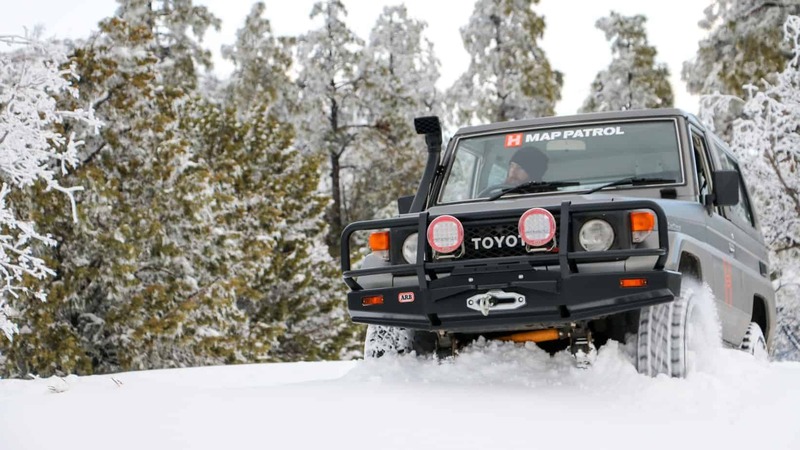 Founded in 1948, Warn has been creating solutions for off roaders, military, and emergency rescue vehicle applications for decades. 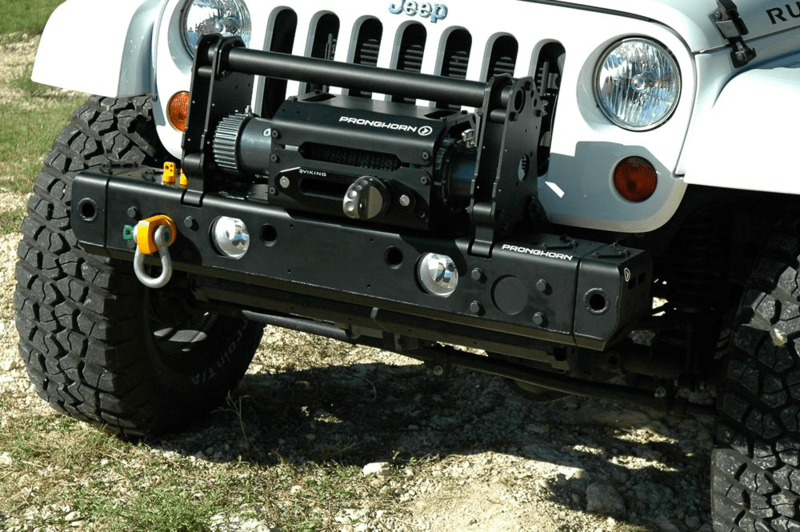 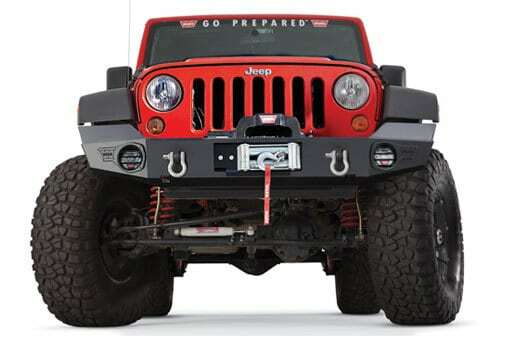 Known primarily for their winches, Warn also offers a full line of bumpers for both domestic trucks and Jeeps. 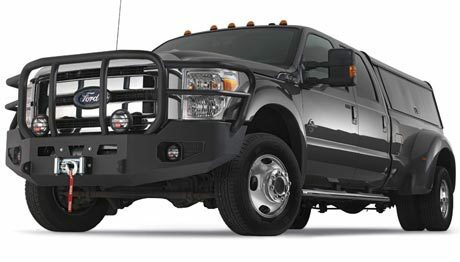 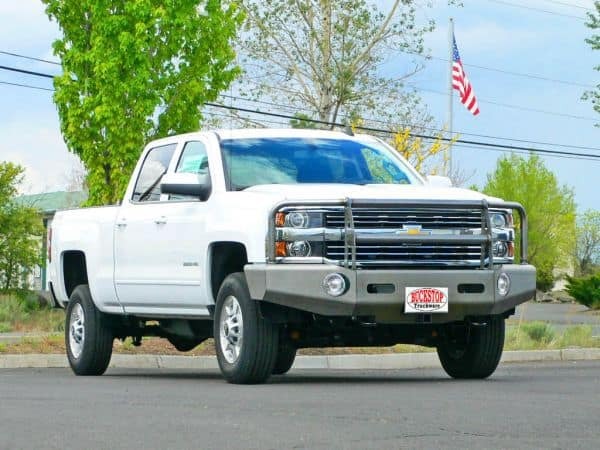 Current applications include most current model year domestic full size trucks. 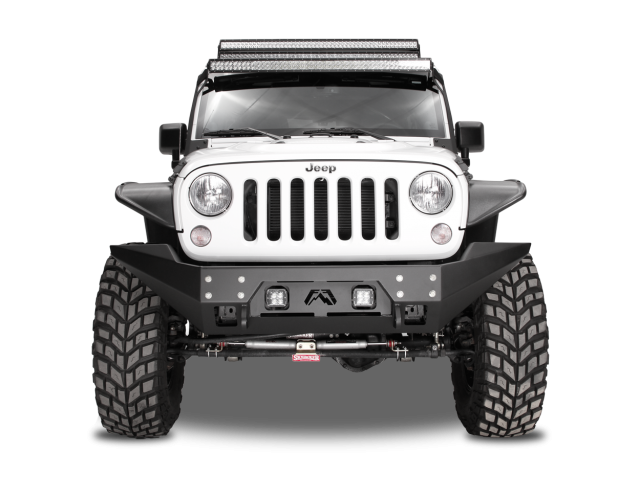 Currently available for the Jeep JK only. 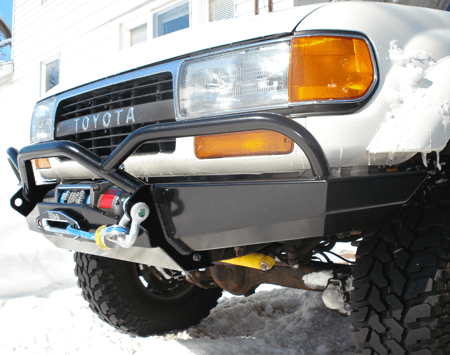 Available for 1989-1995 Toyota Pickup.